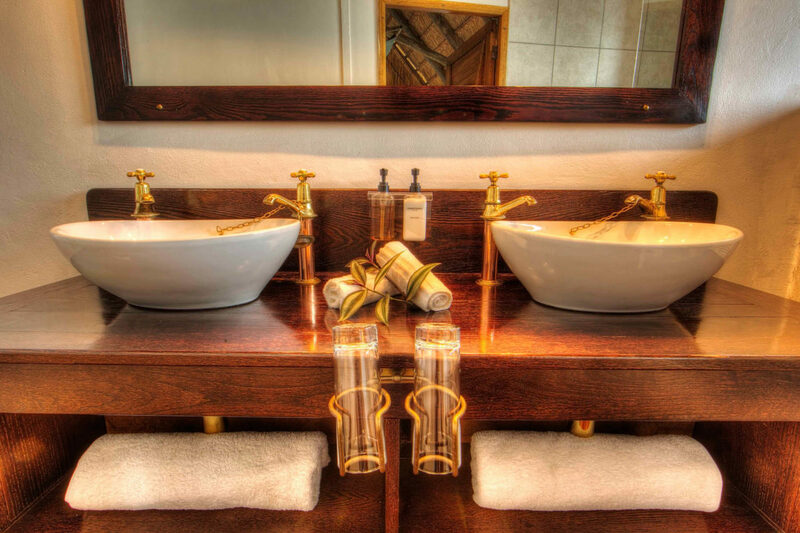 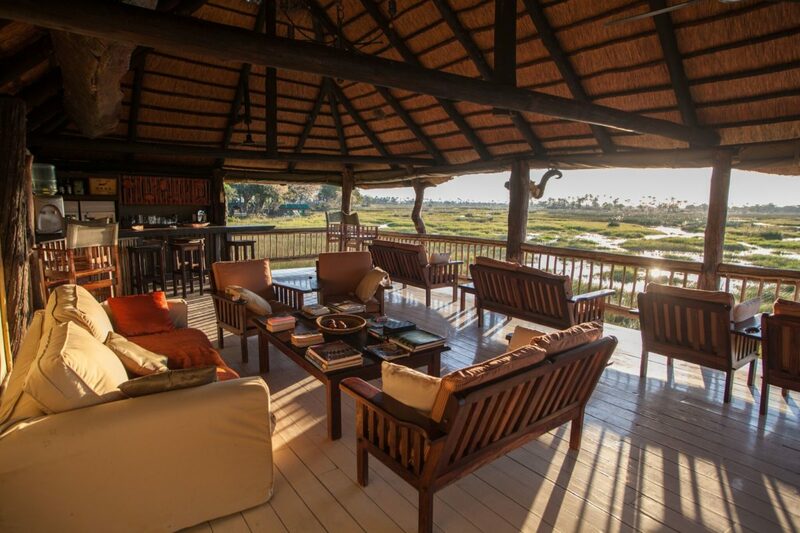 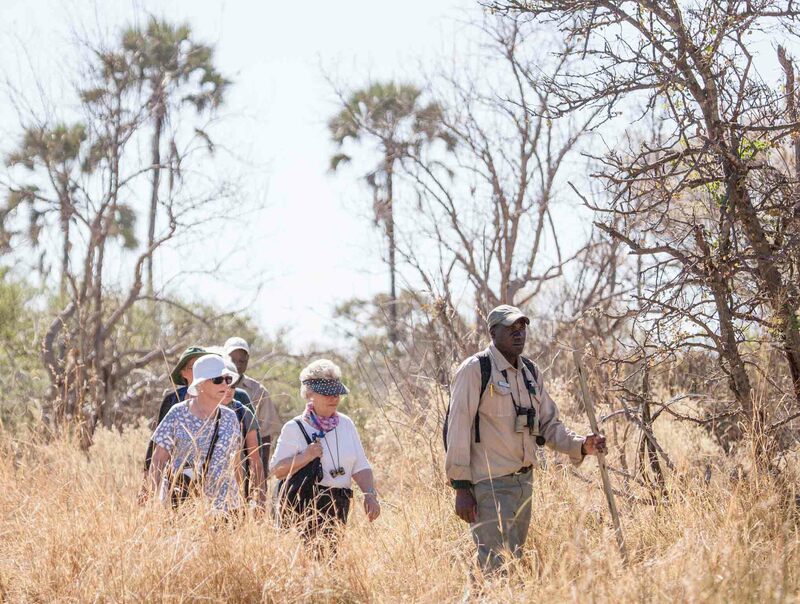 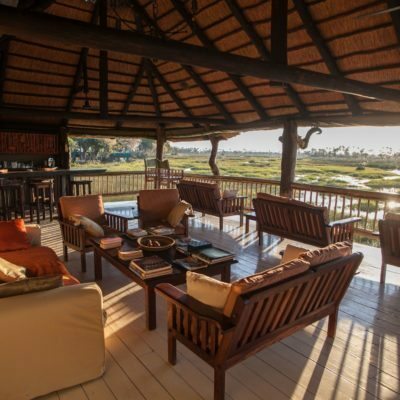 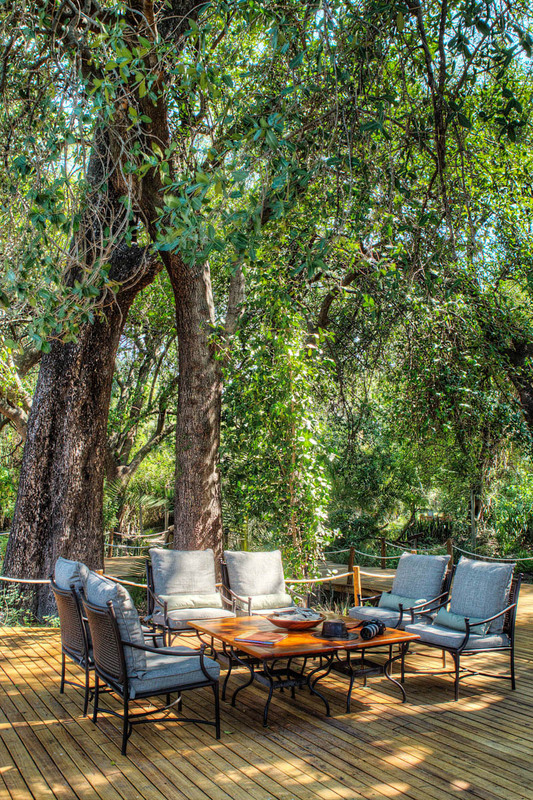 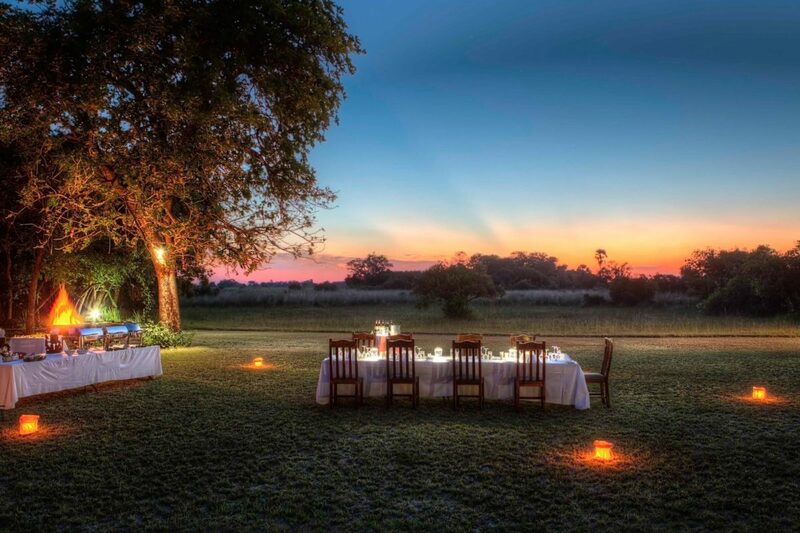 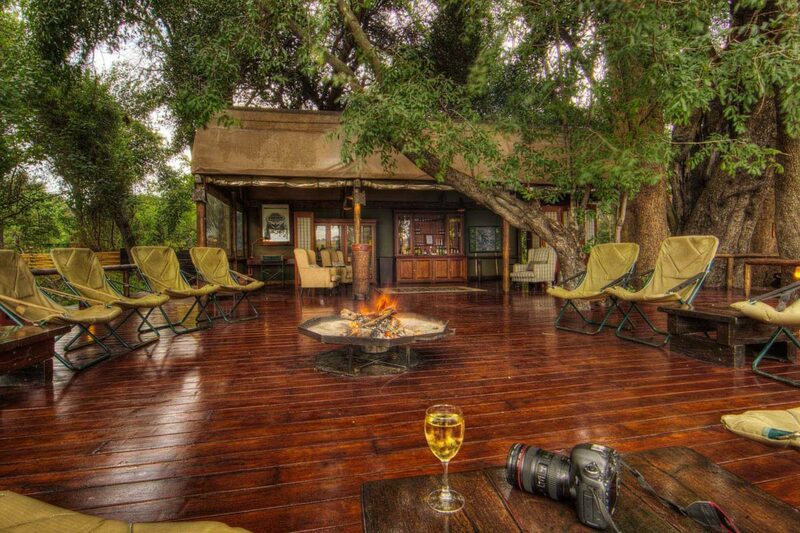 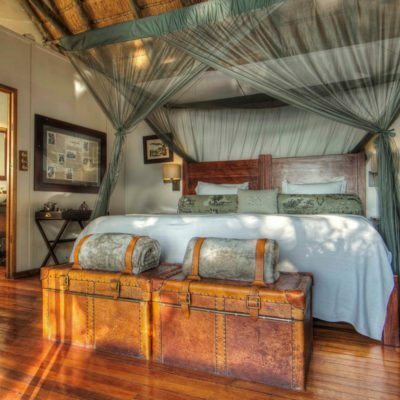 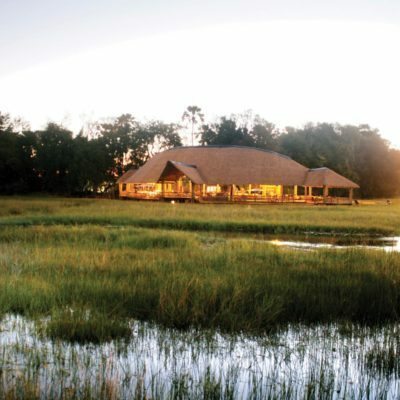 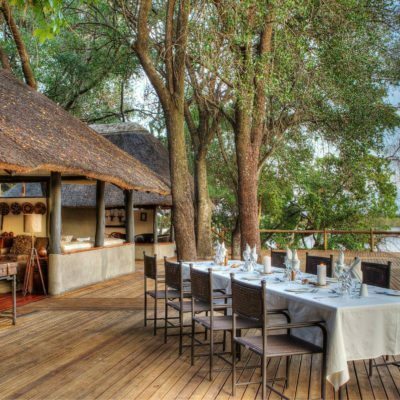 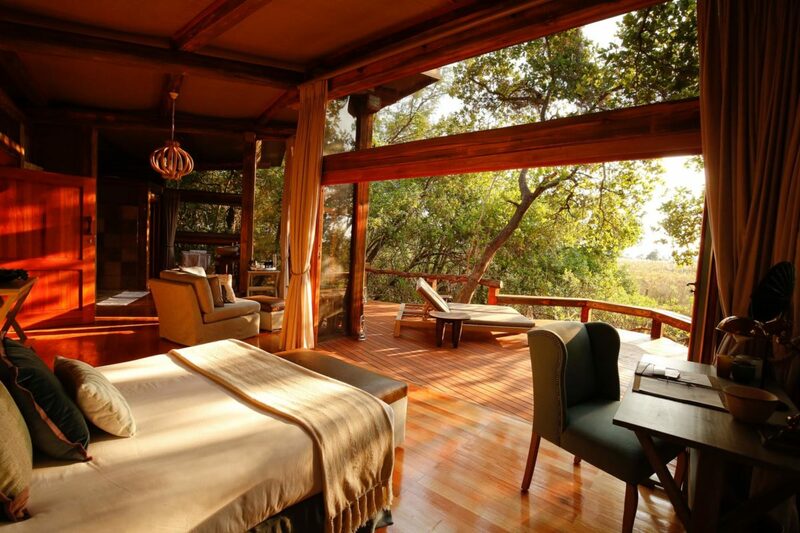 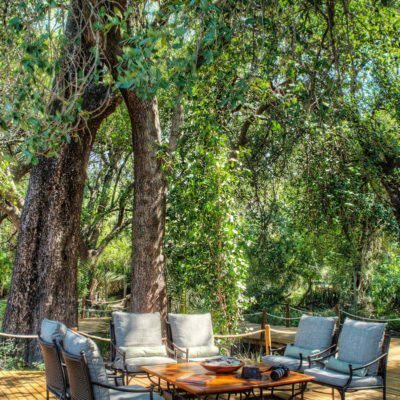 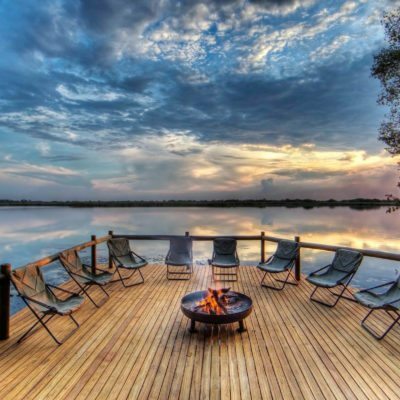 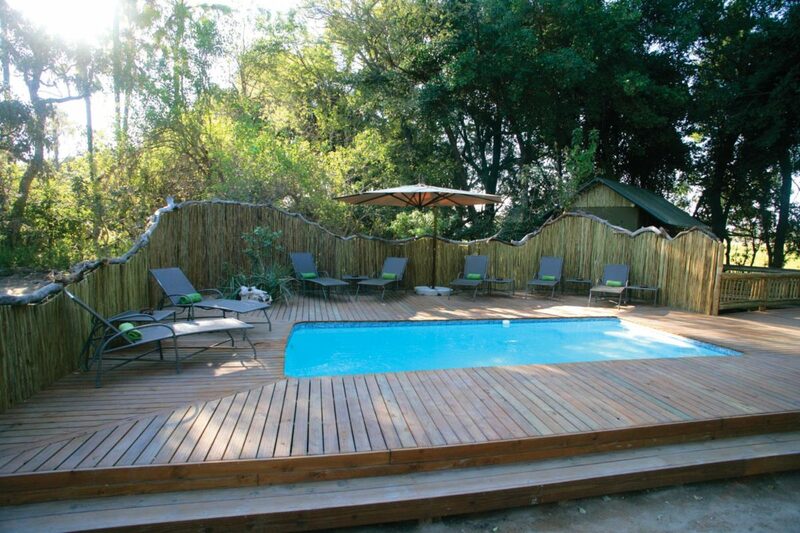 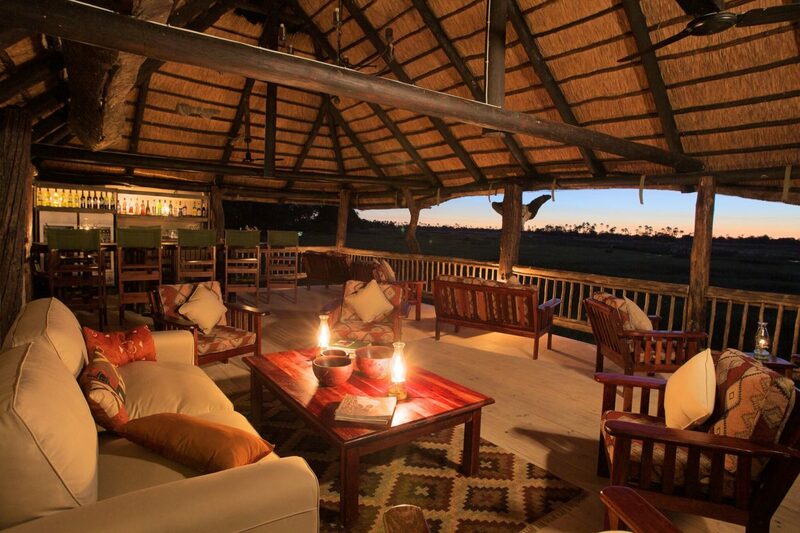 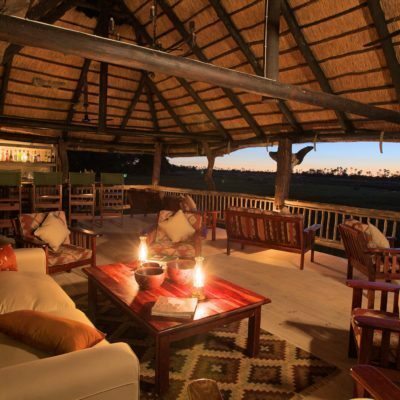 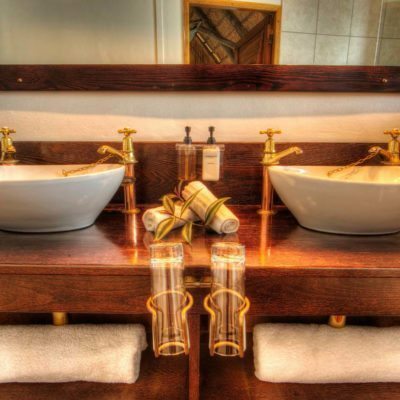 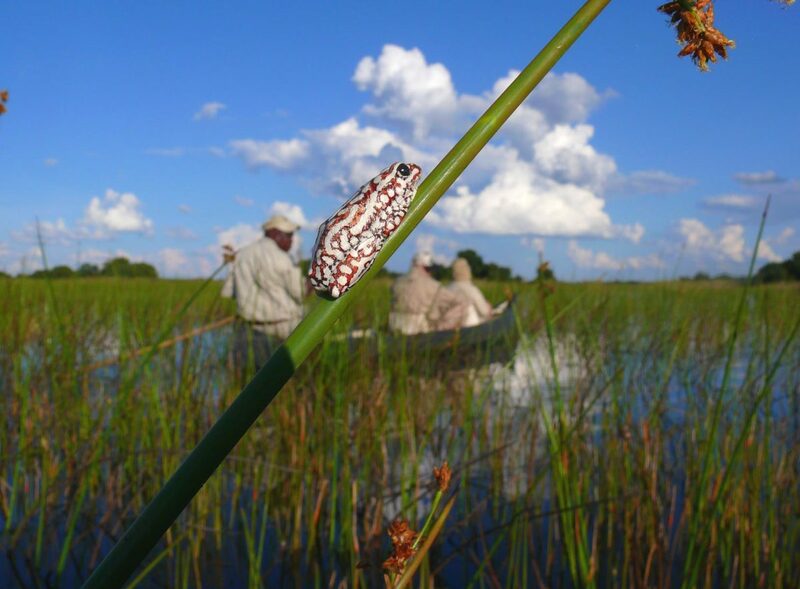 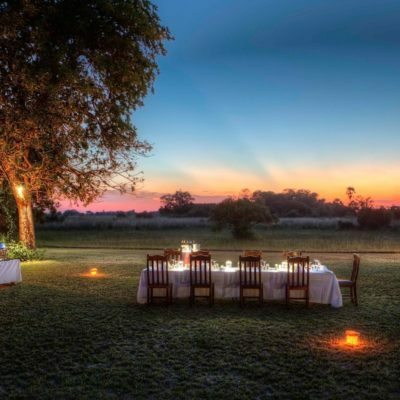 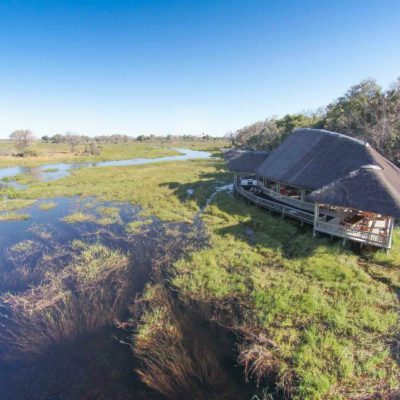 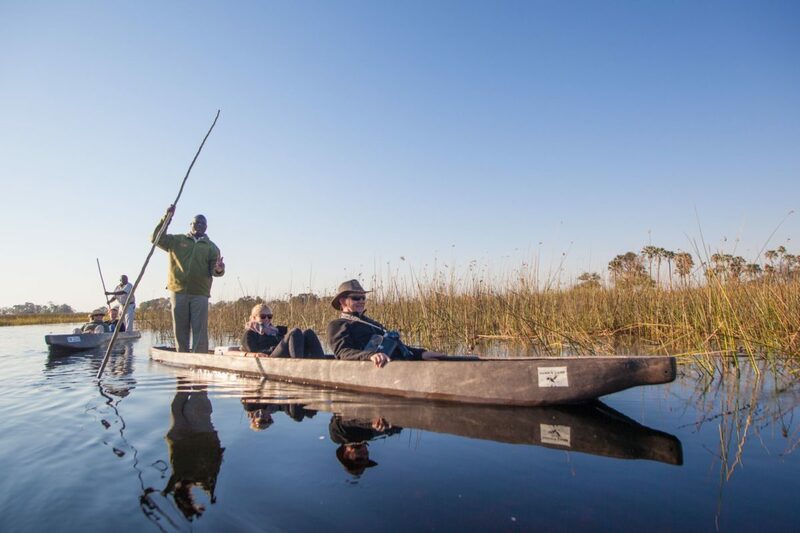 Deep within the Kalahari lies a vast and beautiful watery wilderness – the Okavango Delta. 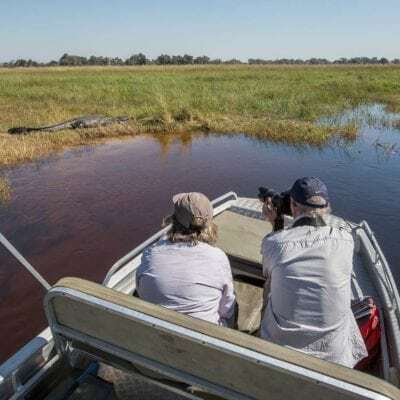 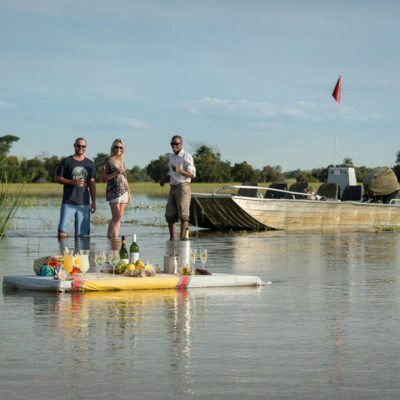 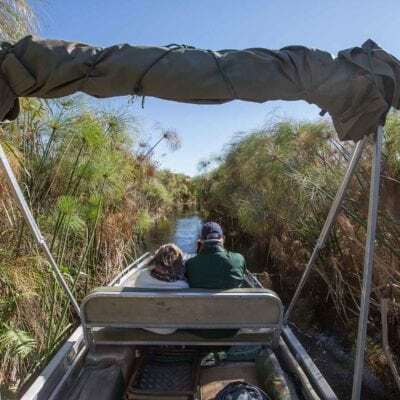 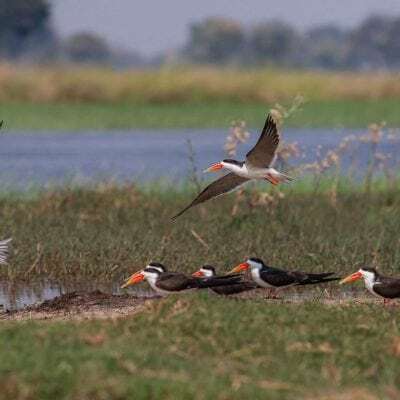 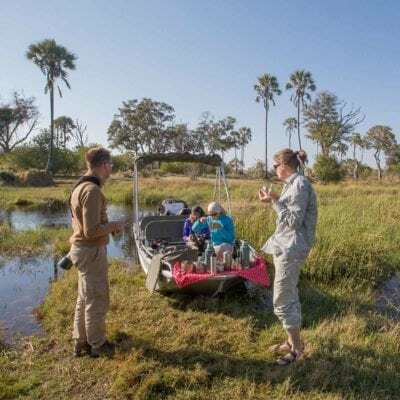 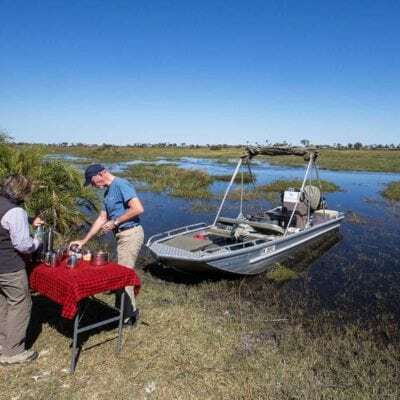 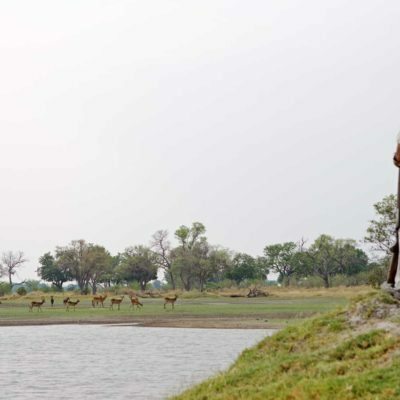 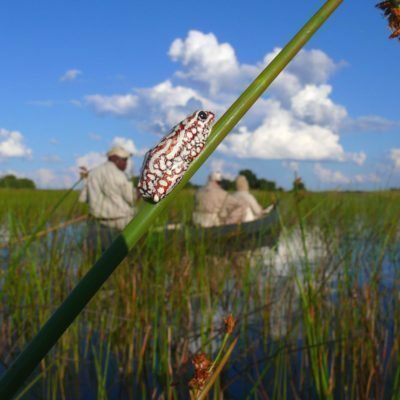 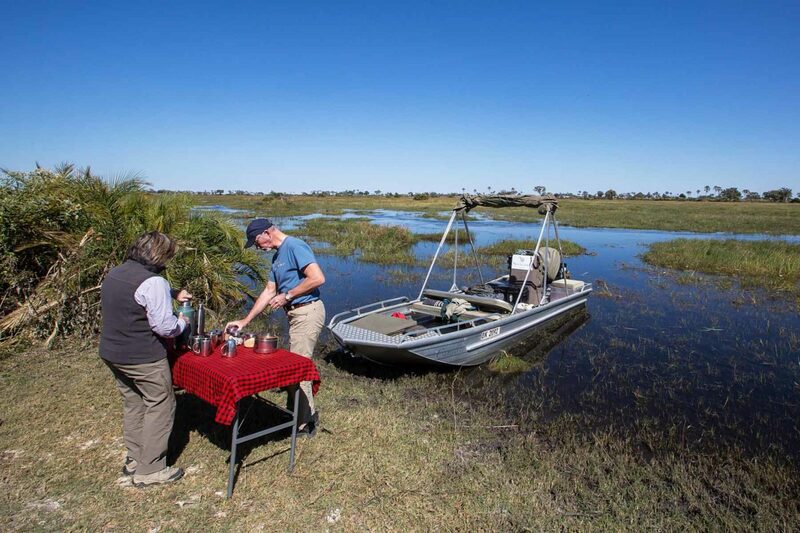 From our base in Maun, we offer mobile camping boat safaris exploring the lower reaches of the delta by motor boat, camping on remote palm fringed islands. 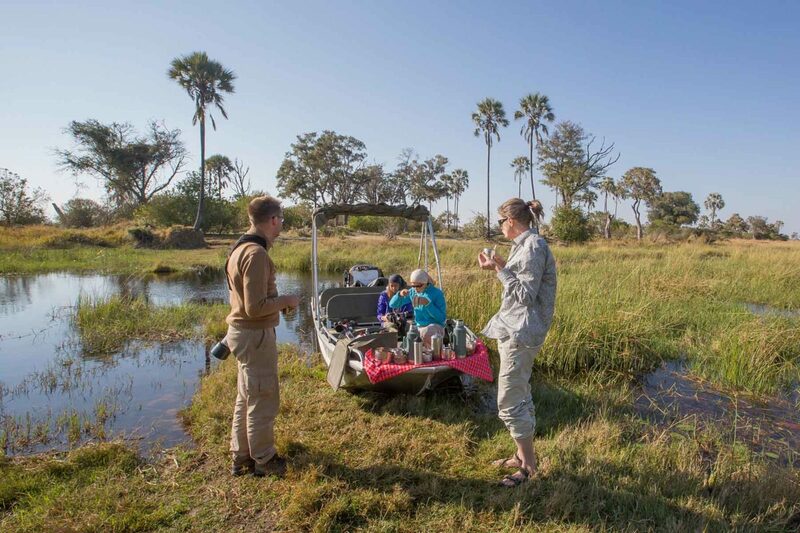 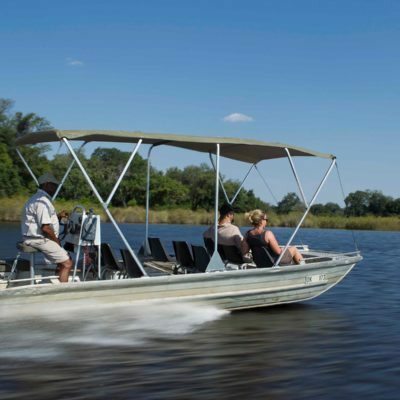 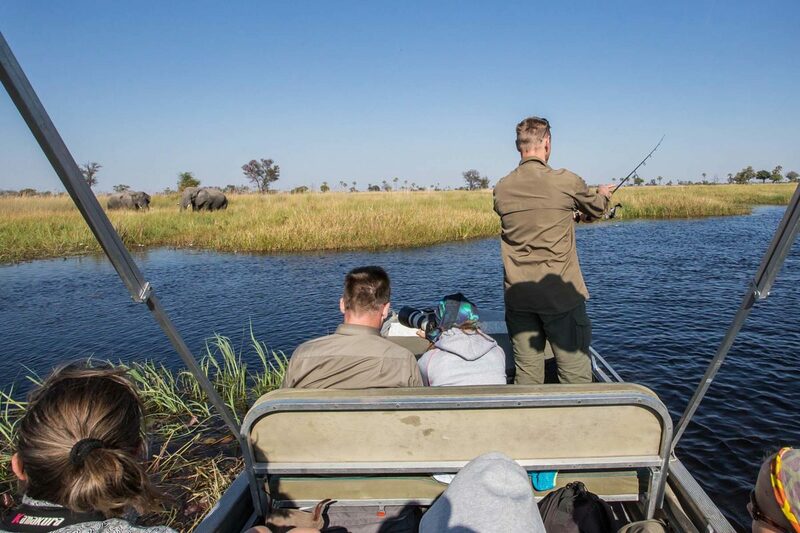 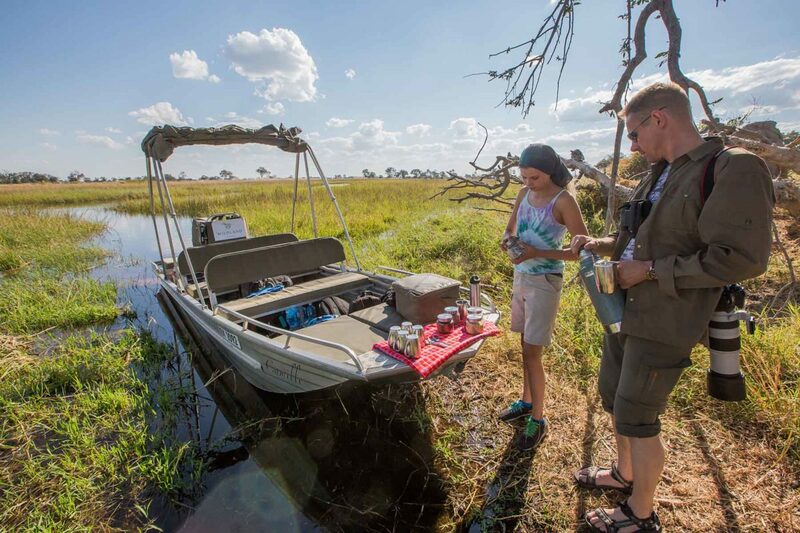 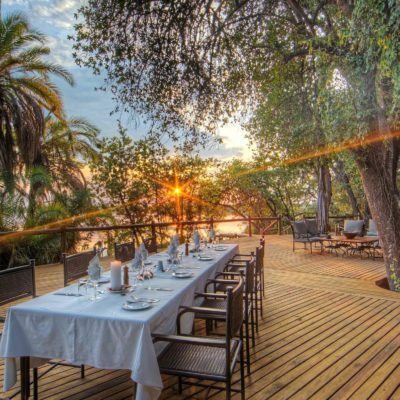 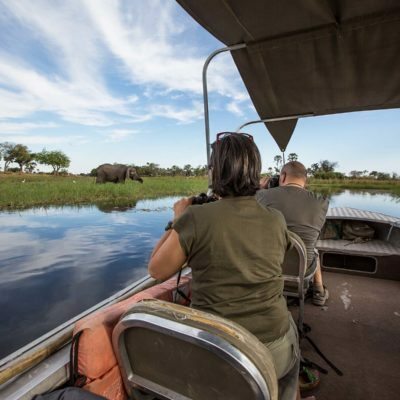 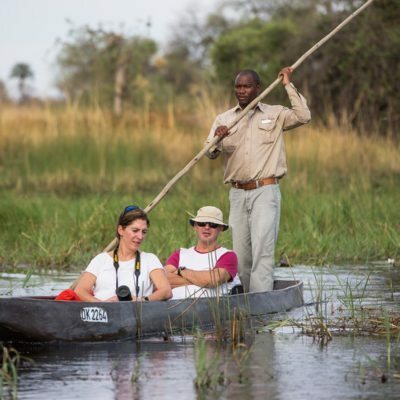 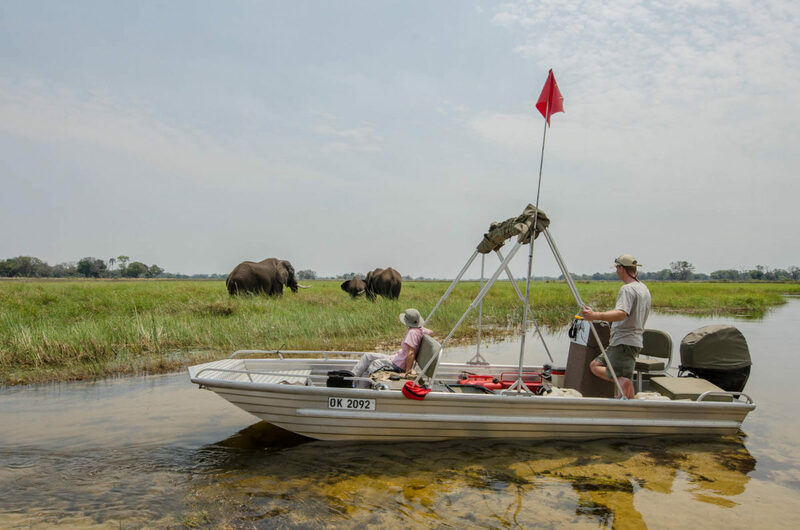 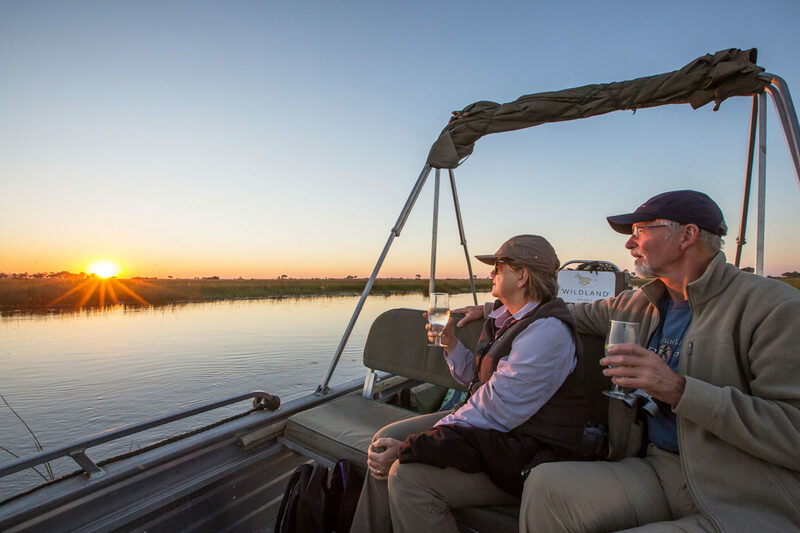 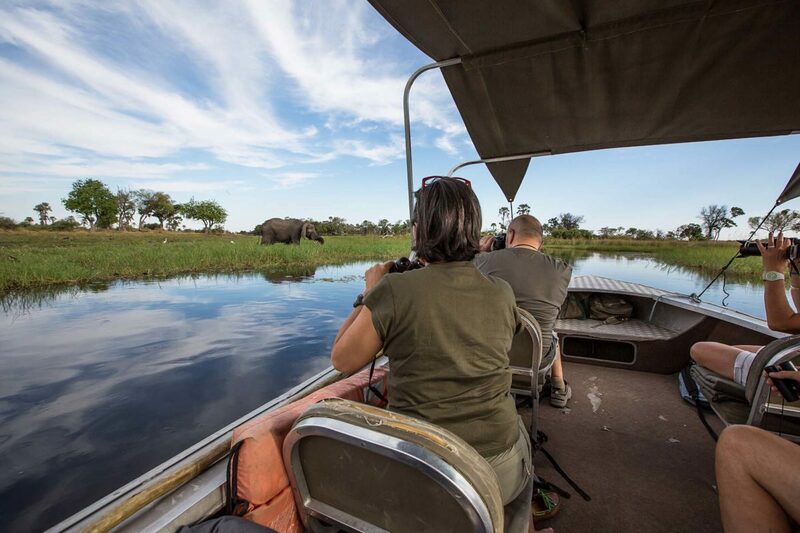 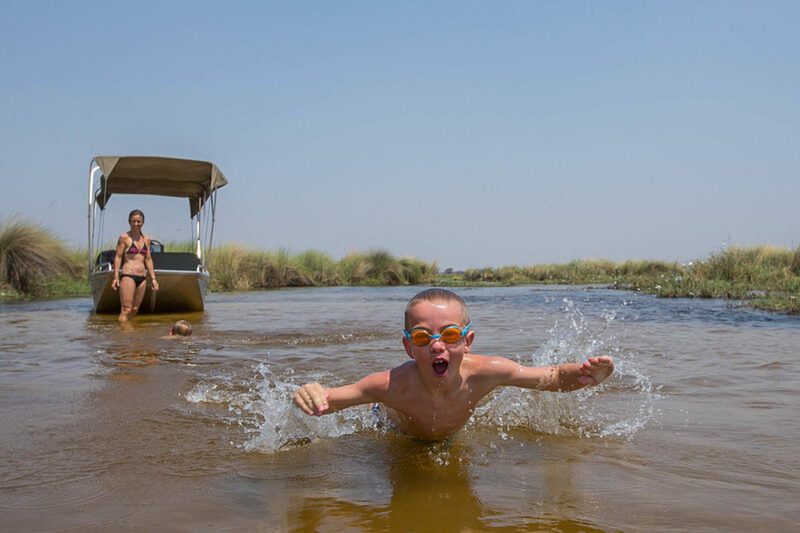 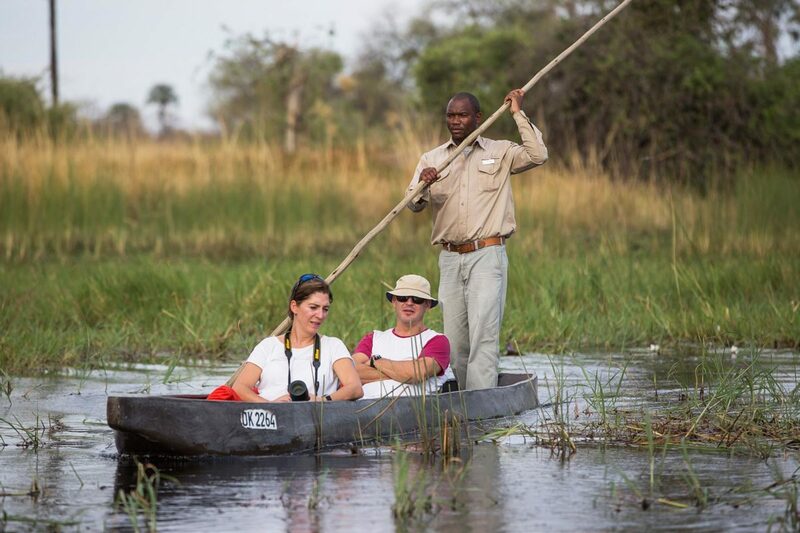 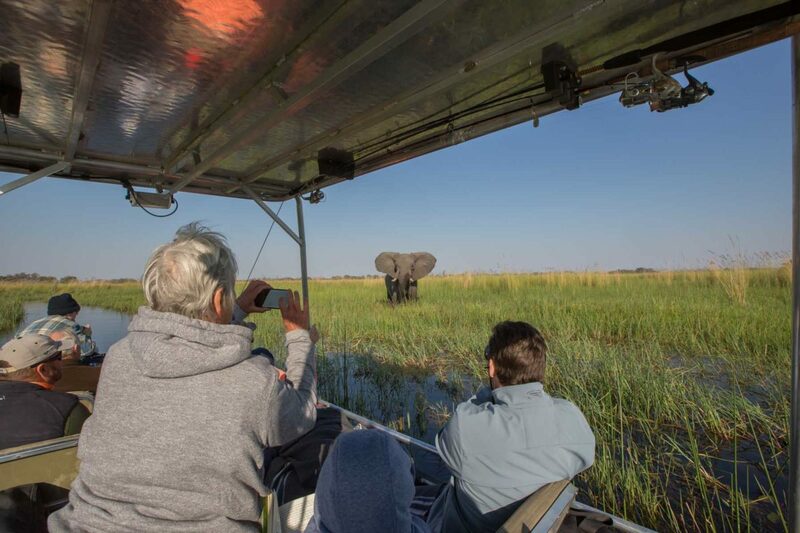 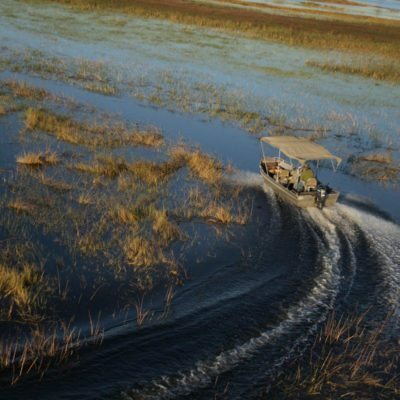 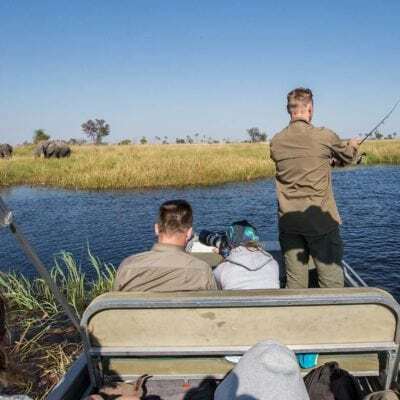 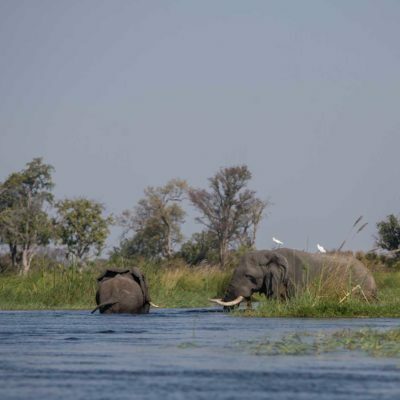 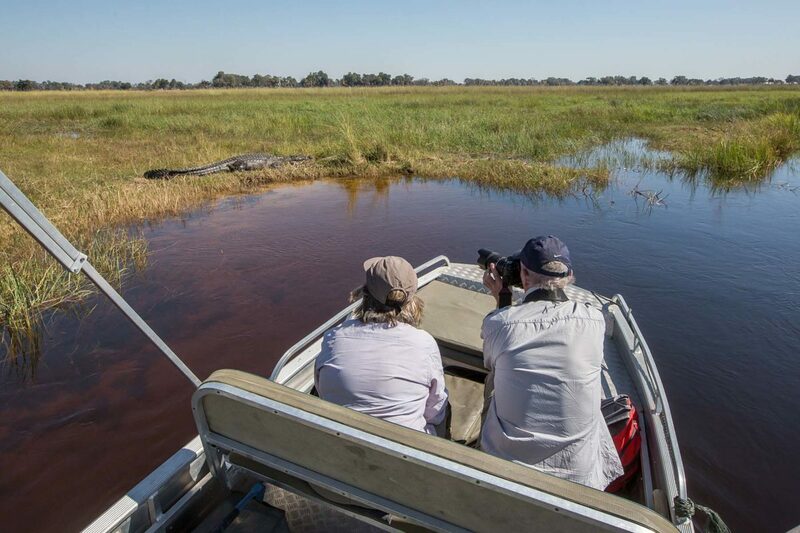 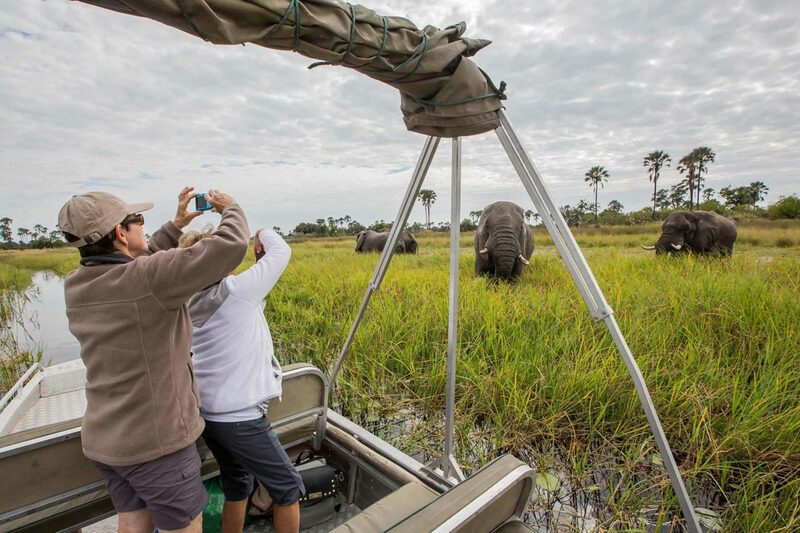 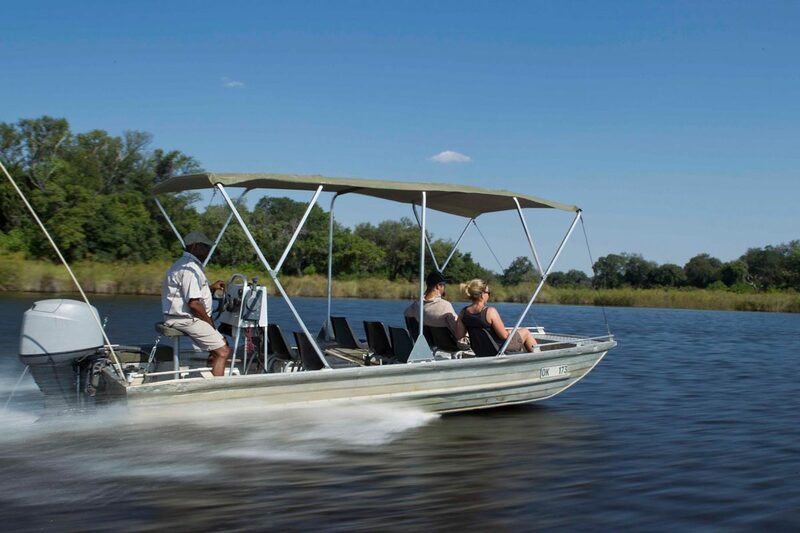 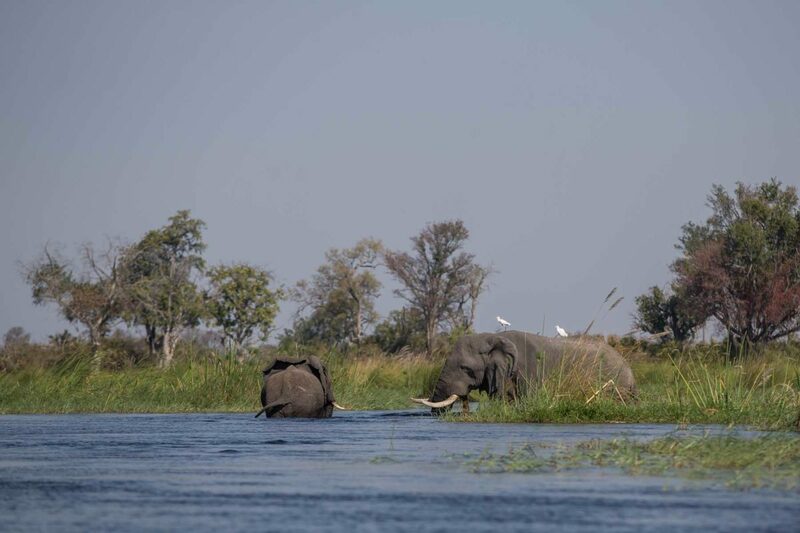 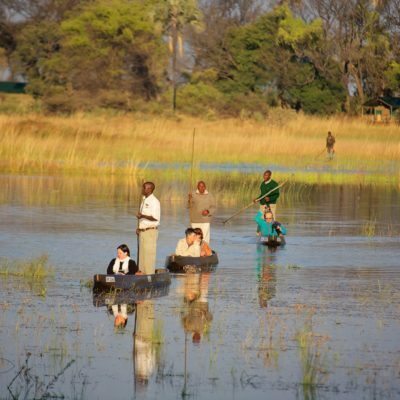 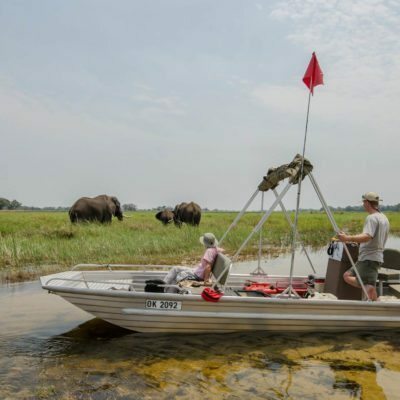 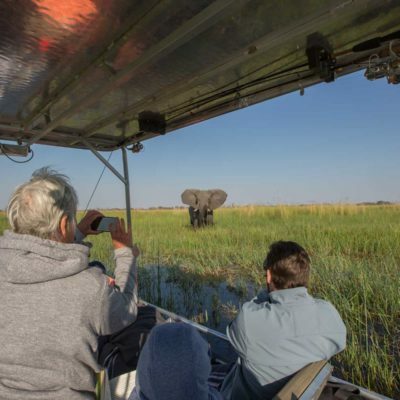 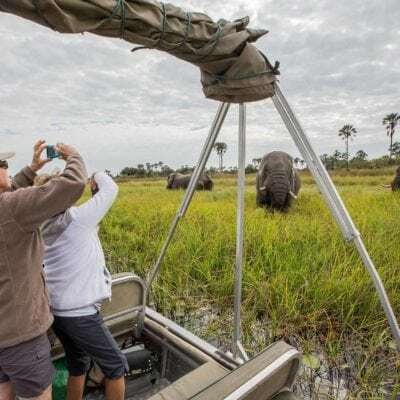 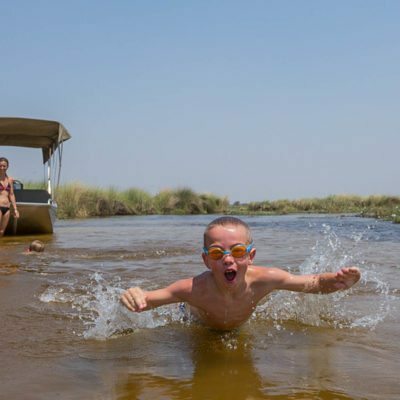 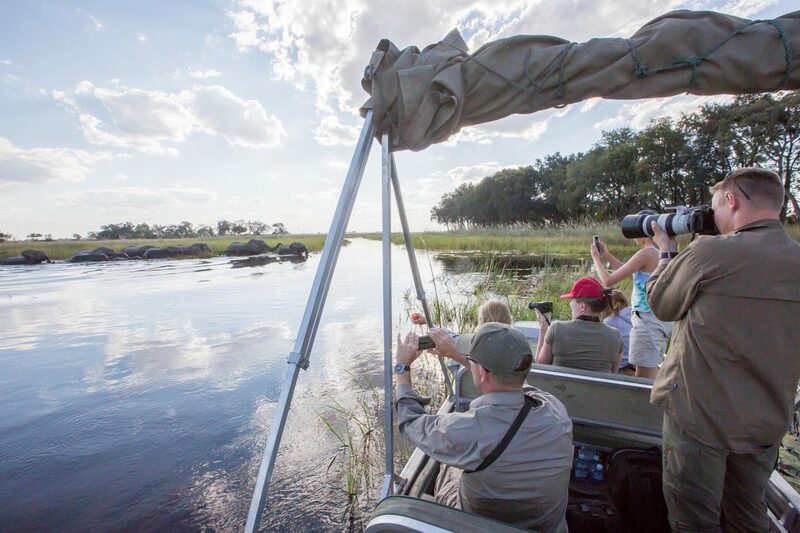 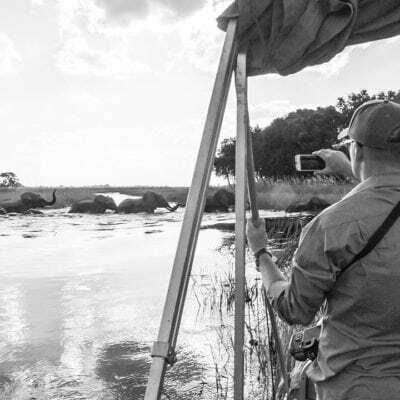 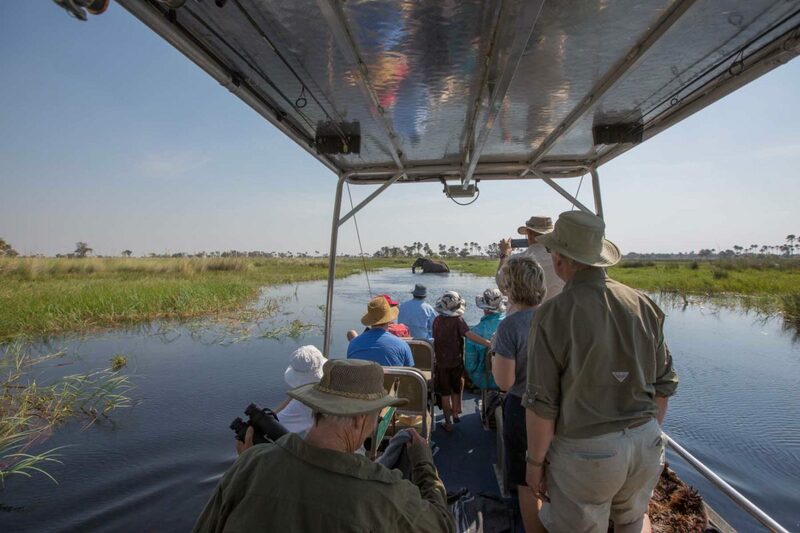 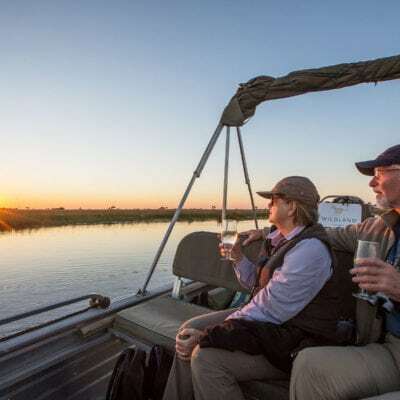 There is also the possibility of a mobile lodge-to-lodge boating safari where you move between different Okavango lodges with our safari boats. 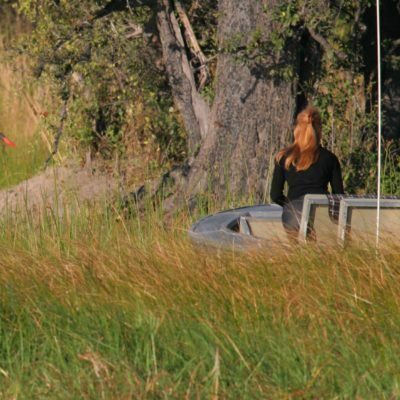 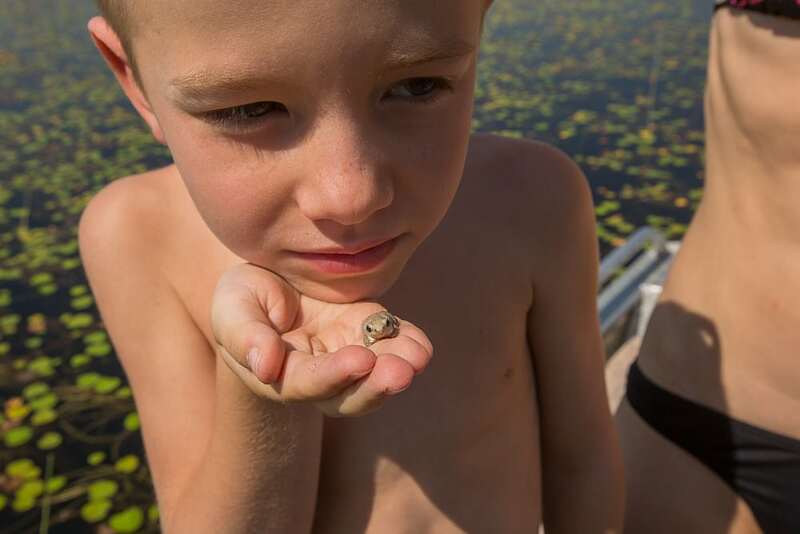 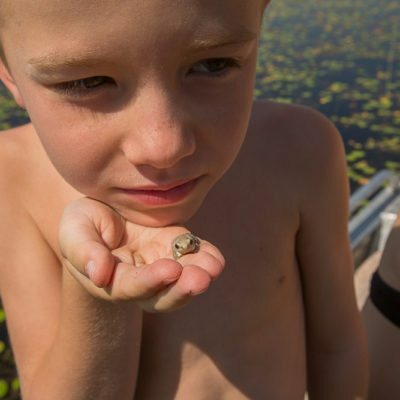 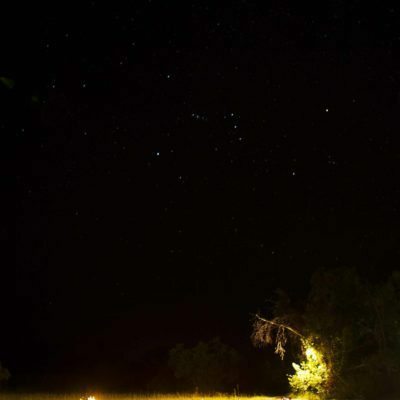 For those that want adventure, pristine wild campsites on Chief’s Island are ideal for mobile safaris. 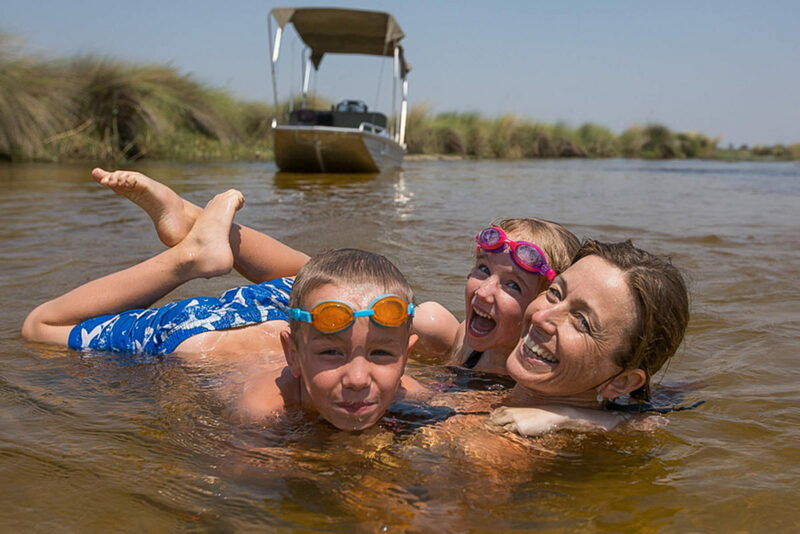 The Delta islands are big game country and there are endless hippo pools, lagoons, backwaters and secret channels that can be explored. 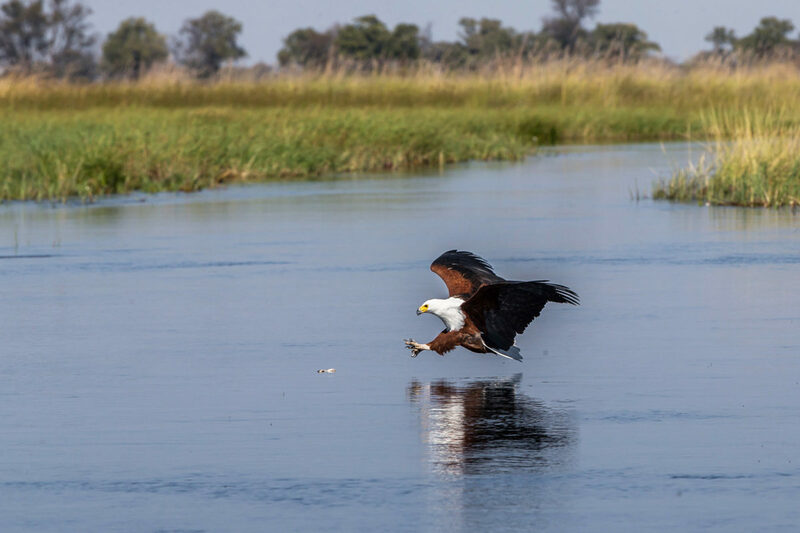 The birdlife is exceptional. 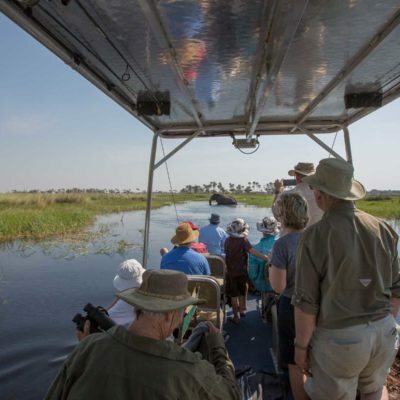 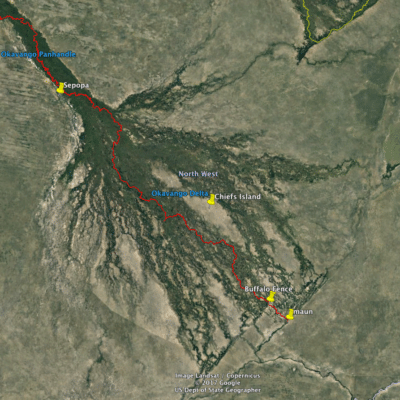 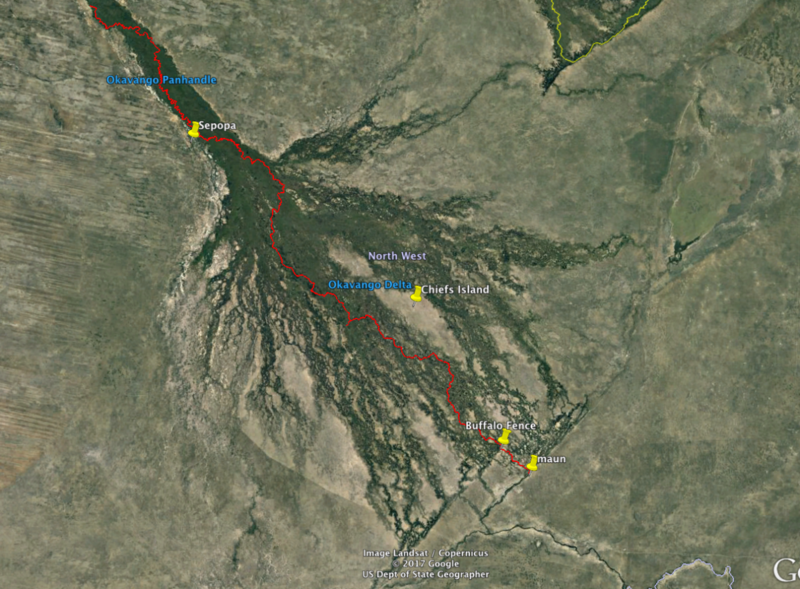 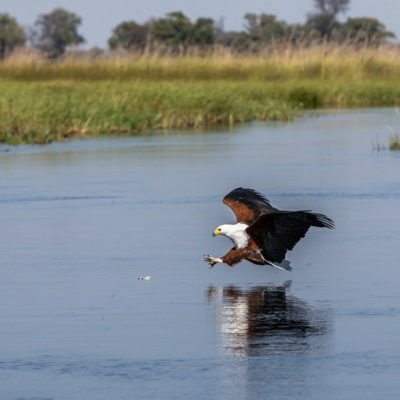 Look out for Wattled Crane and majestic African Fish Eagles as we go. 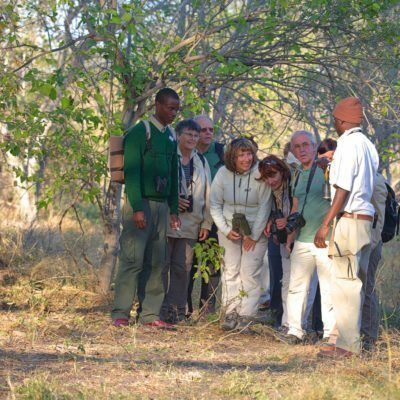 Birders may be especially interested to try and track down the elusive Pel’s Fishing Owl after hearing its deep booming call. 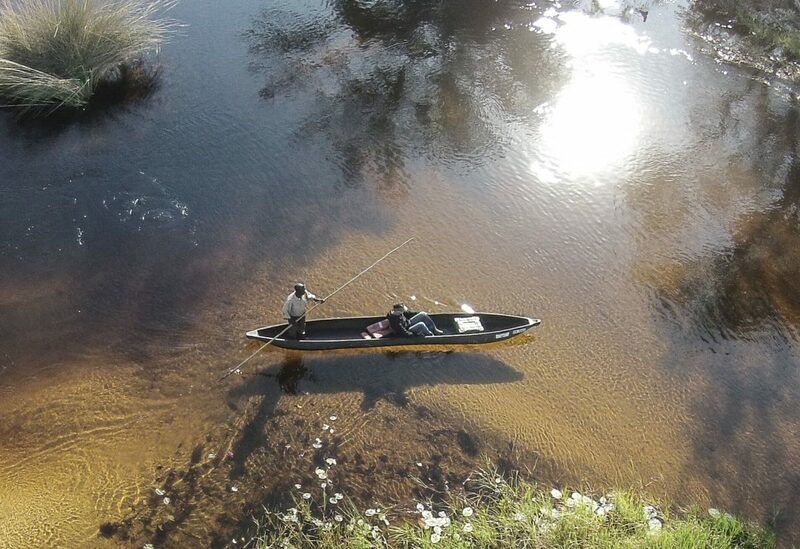 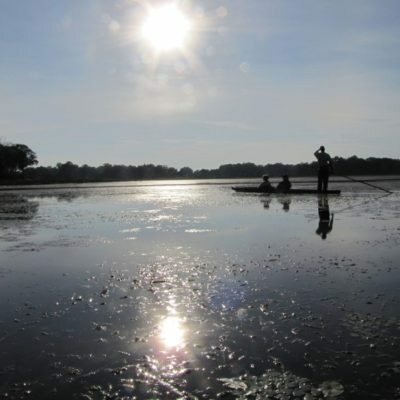 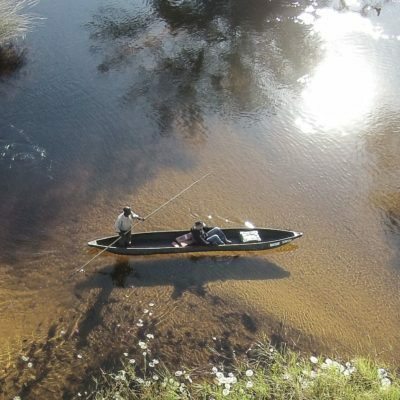 At the remote villages of Jao and Xaxaba, it is possible to hire “mekoro” (traditional dug-out canoes) for expeditions deeper into the floodplain network of the delta. 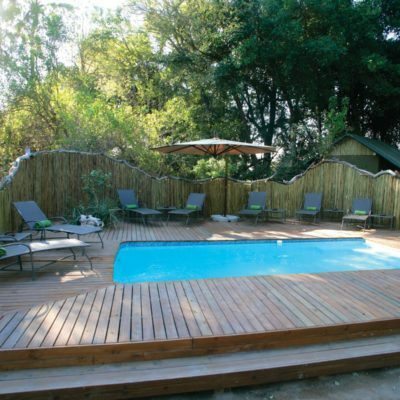 Enquire for more details on this. 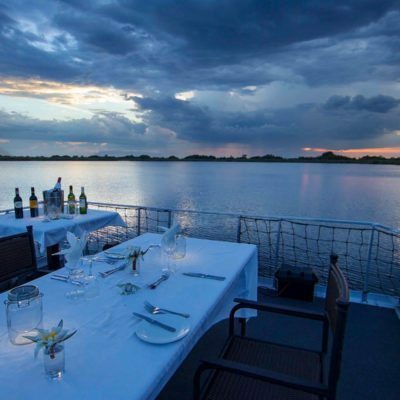 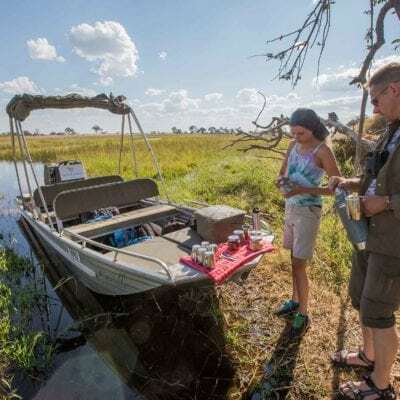 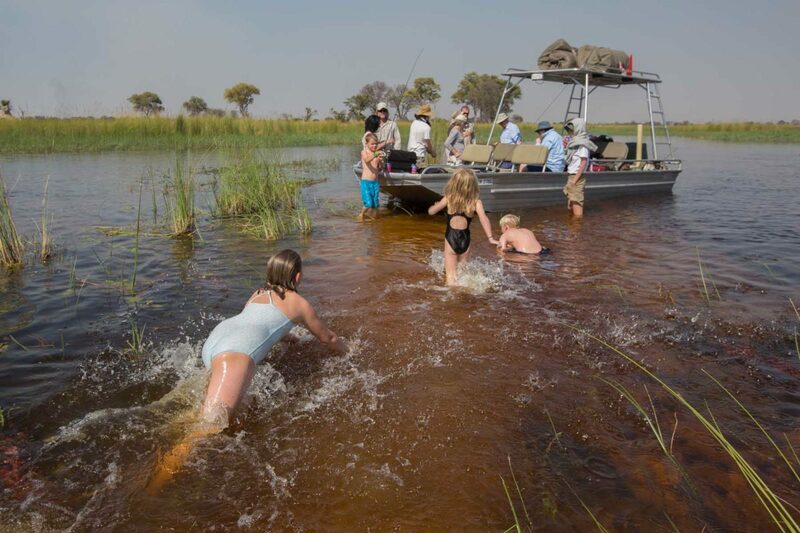 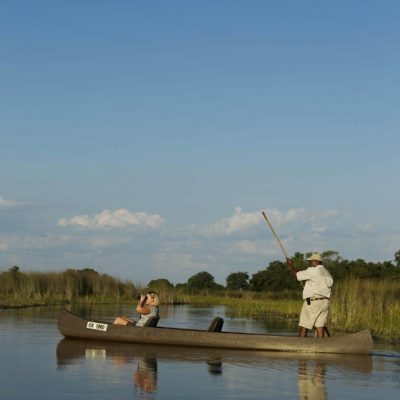 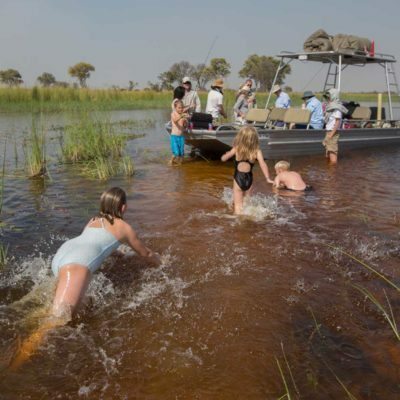 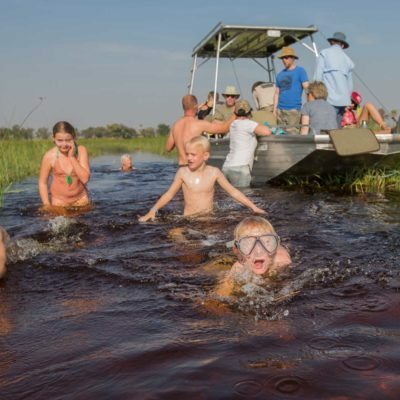 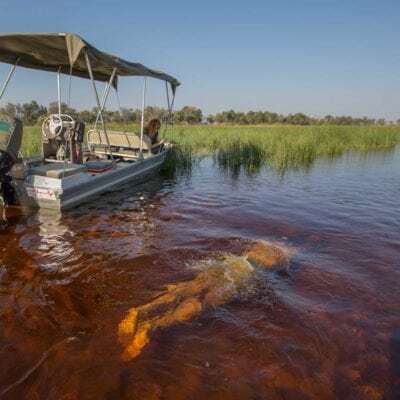 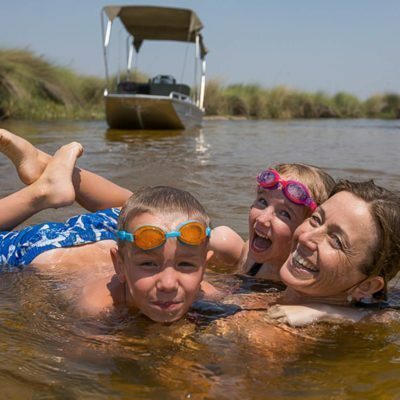 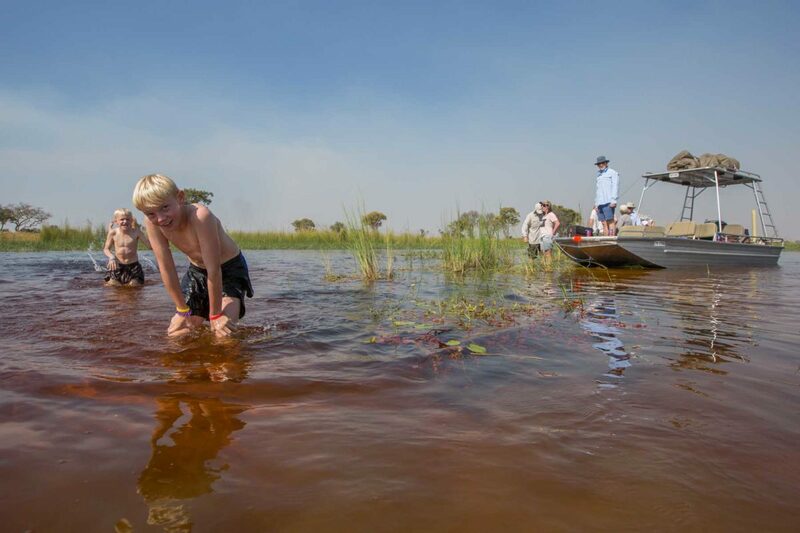 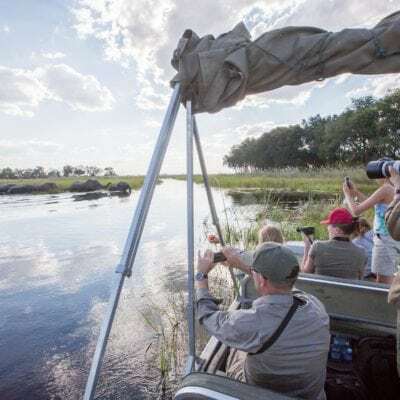 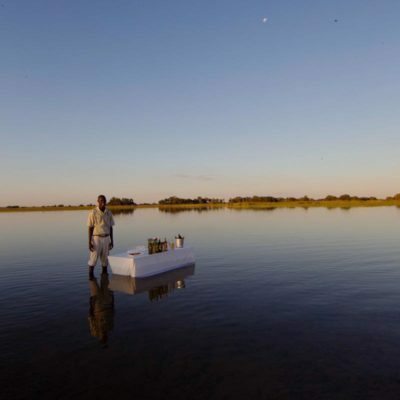 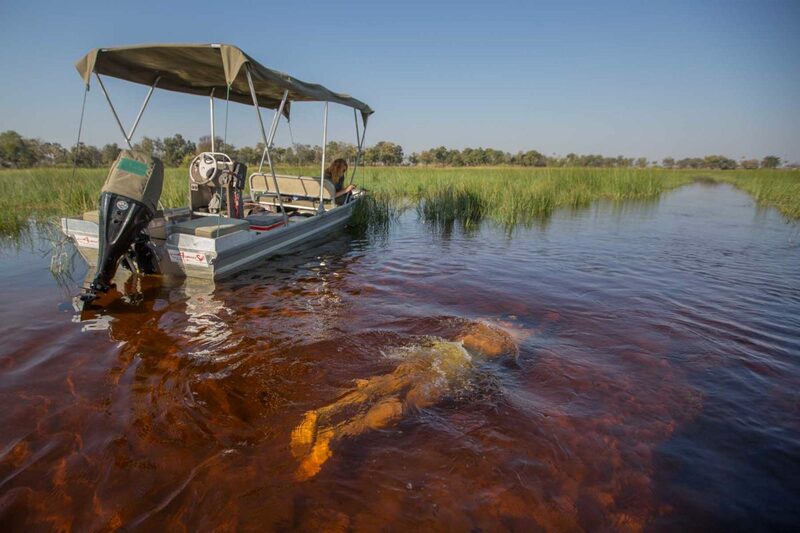 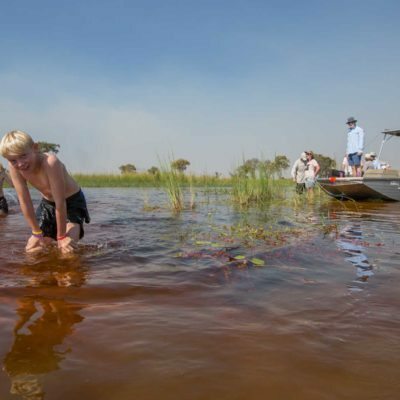 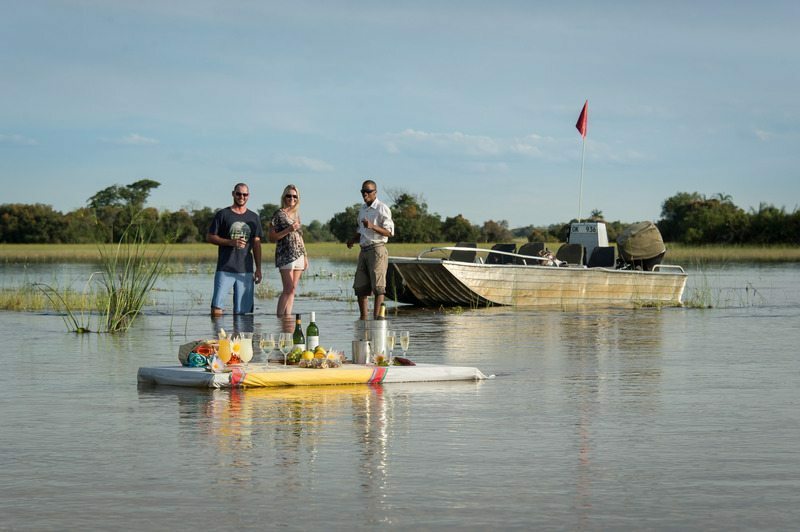 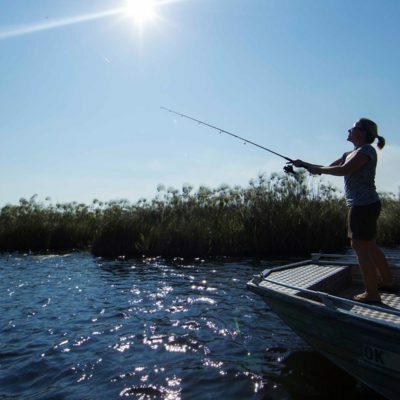 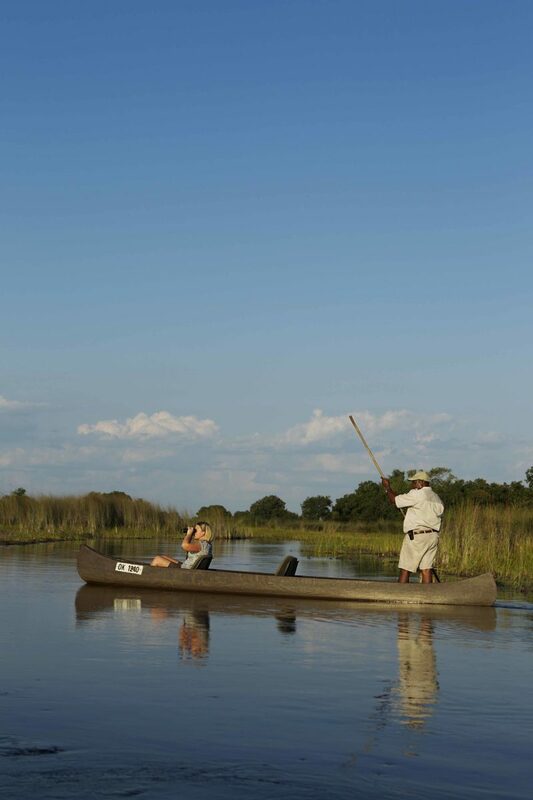 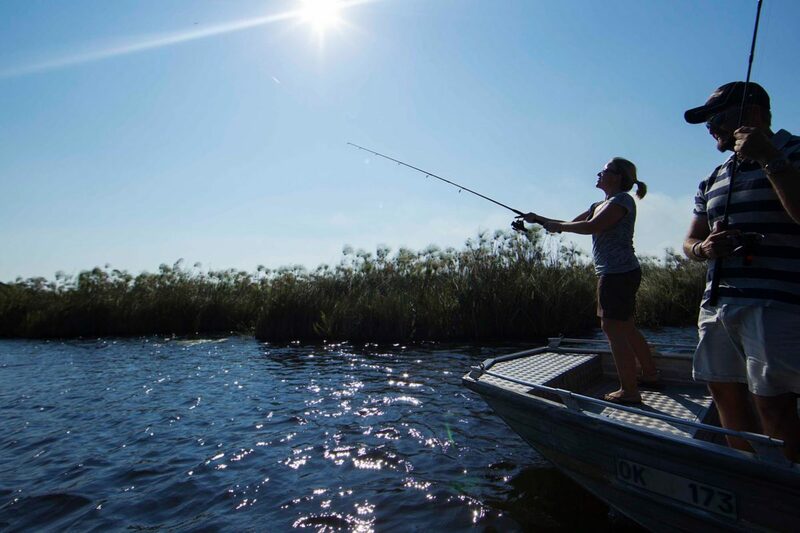 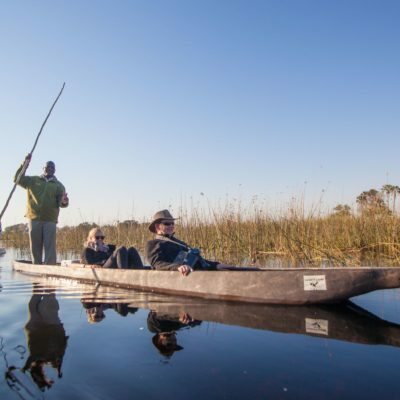 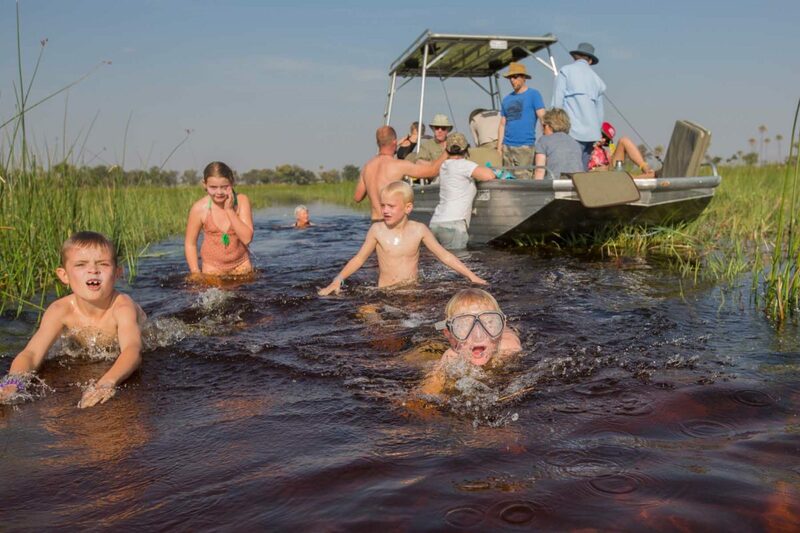 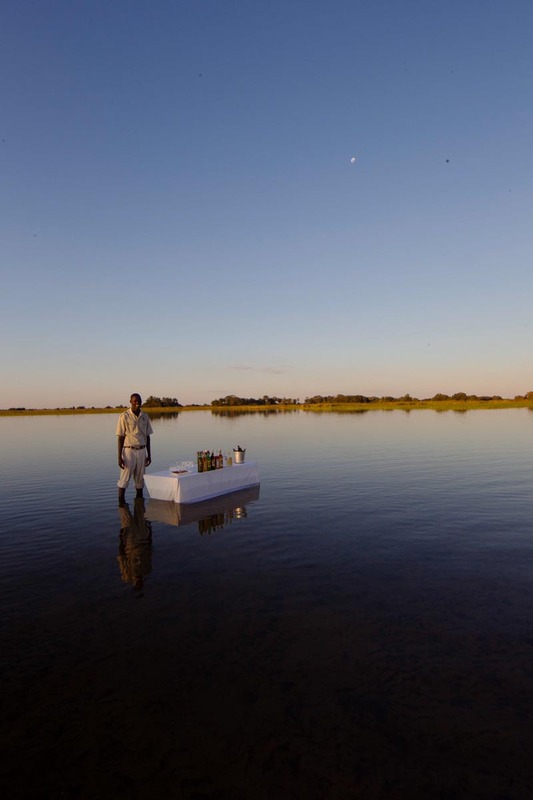 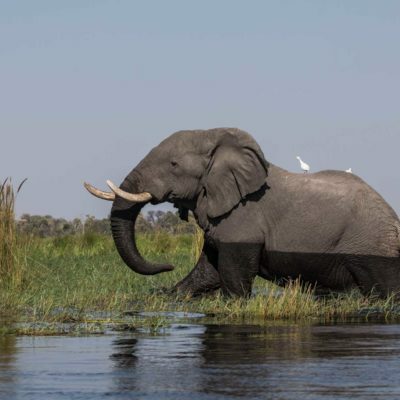 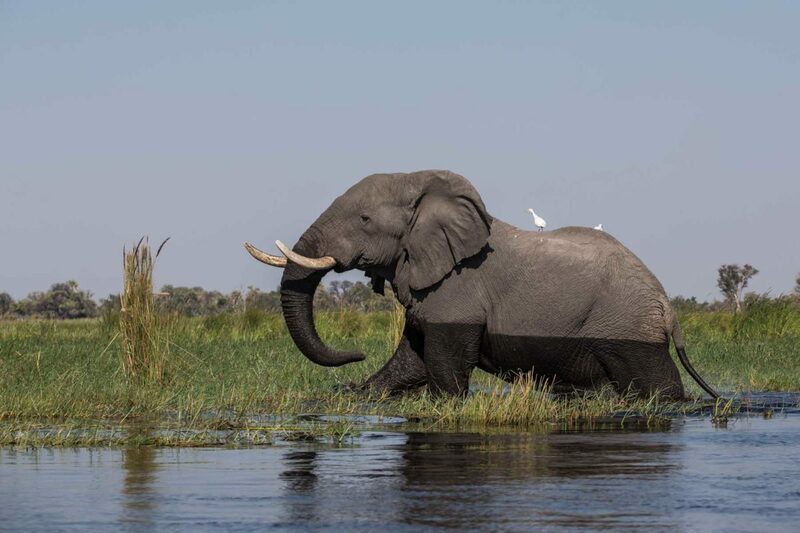 The “ultimate” boating safari is definitely a “Trans Okavango.” This is a 250 km boat journey from the top of the delta right through to its southern extent in Maun. 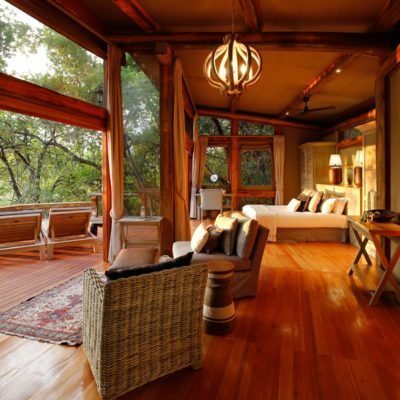 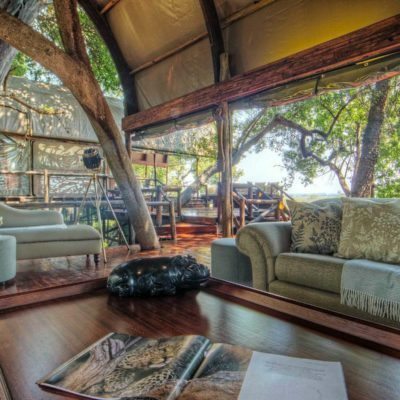 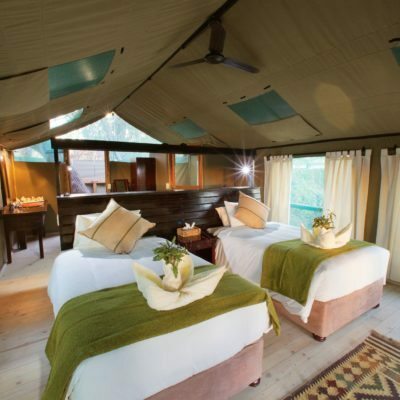 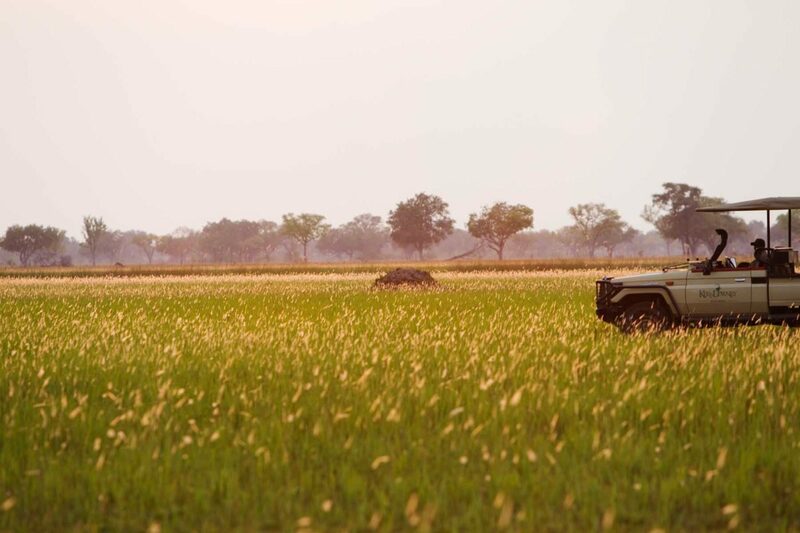 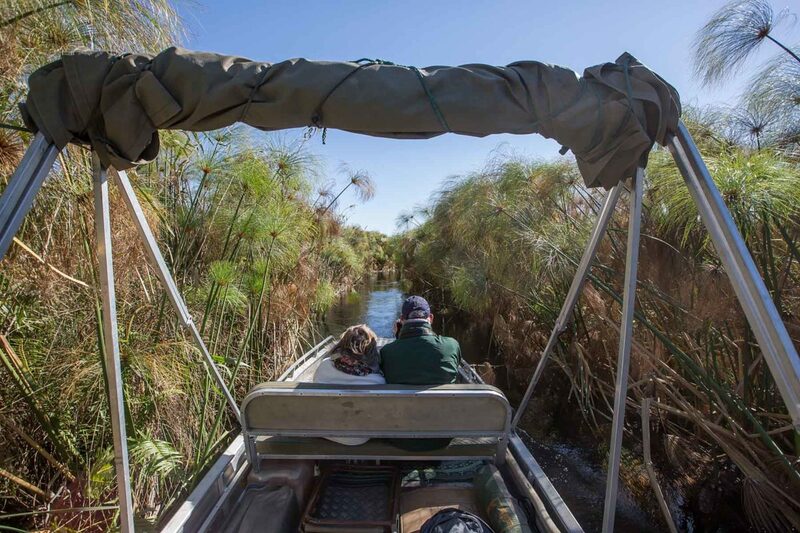 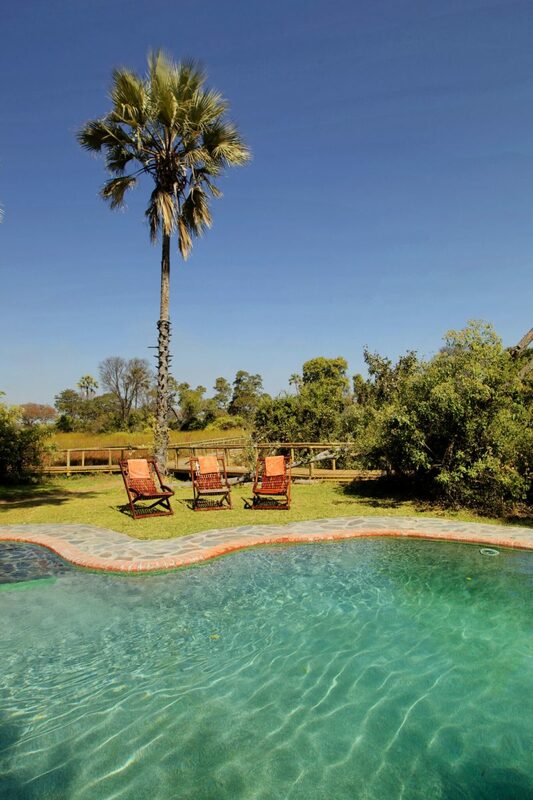 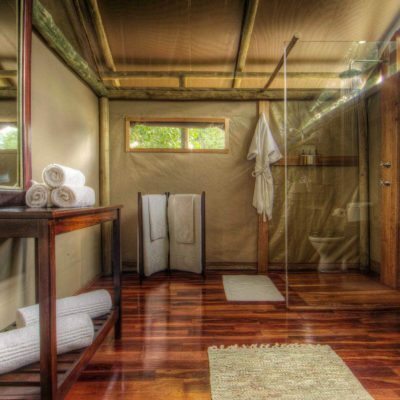 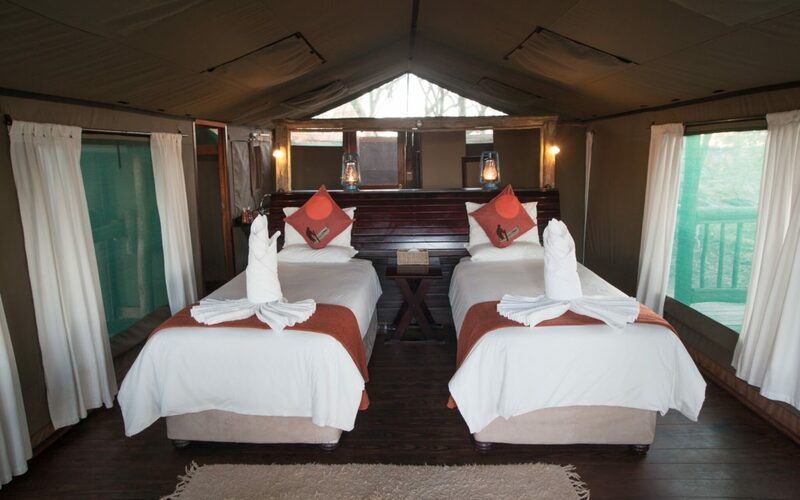 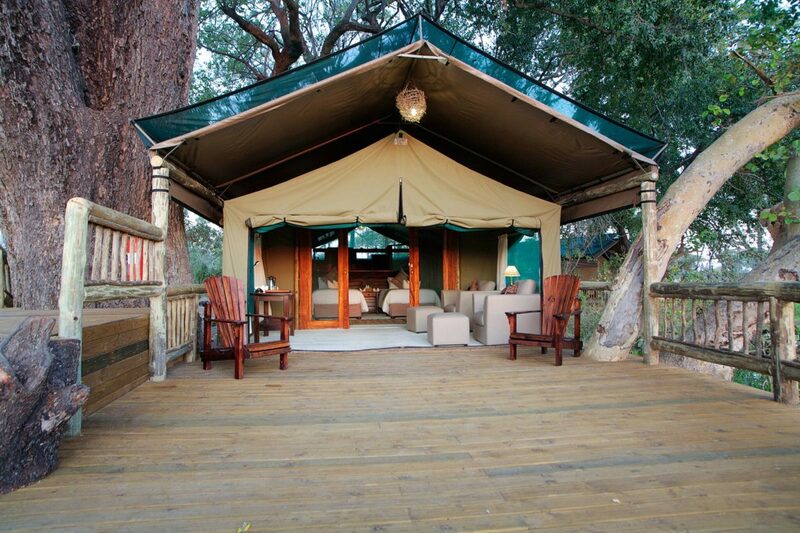 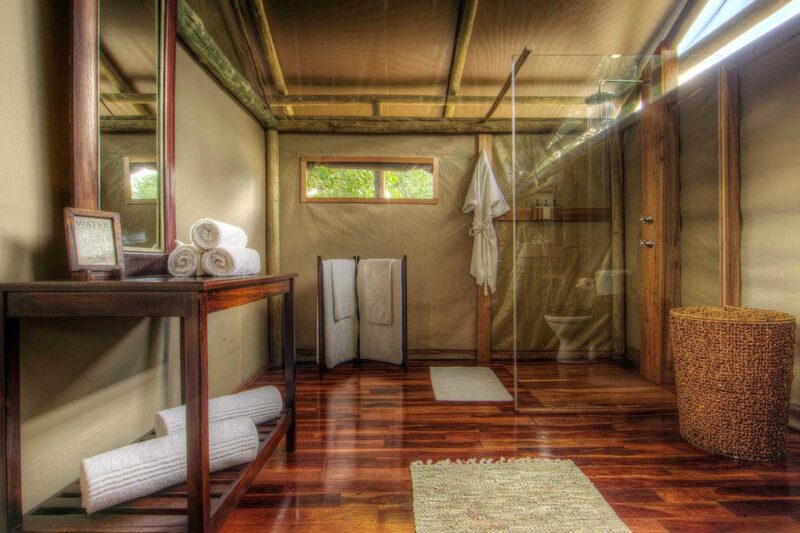 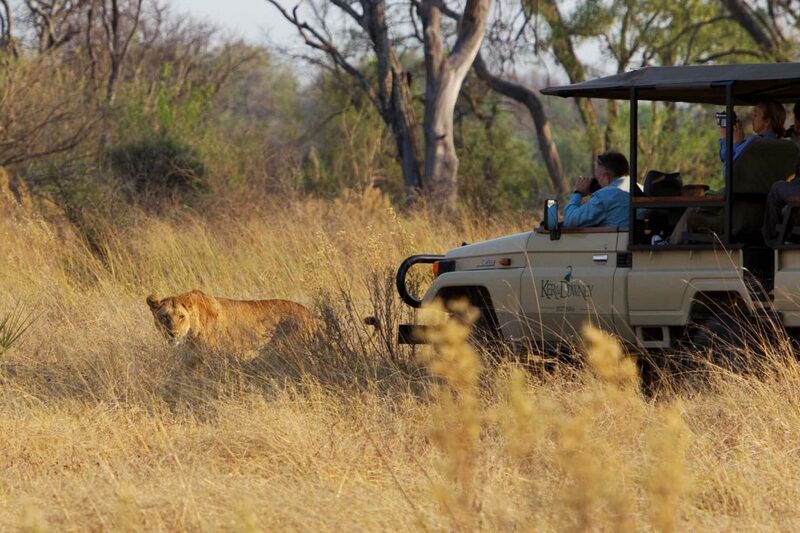 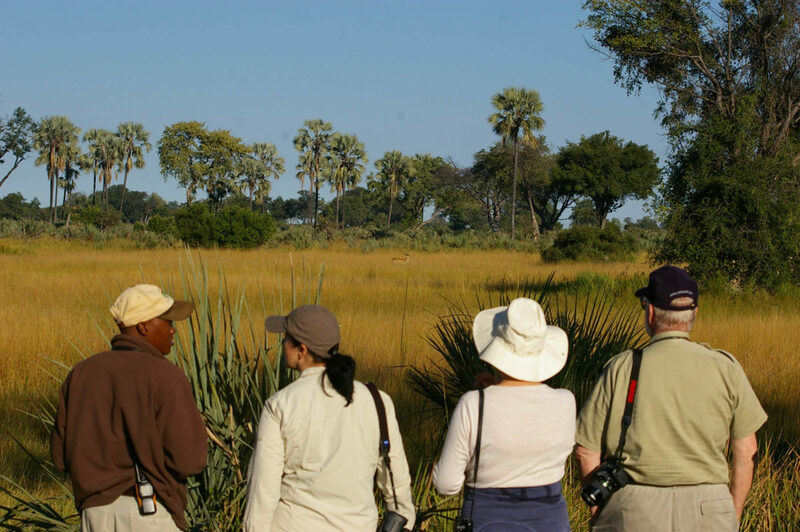 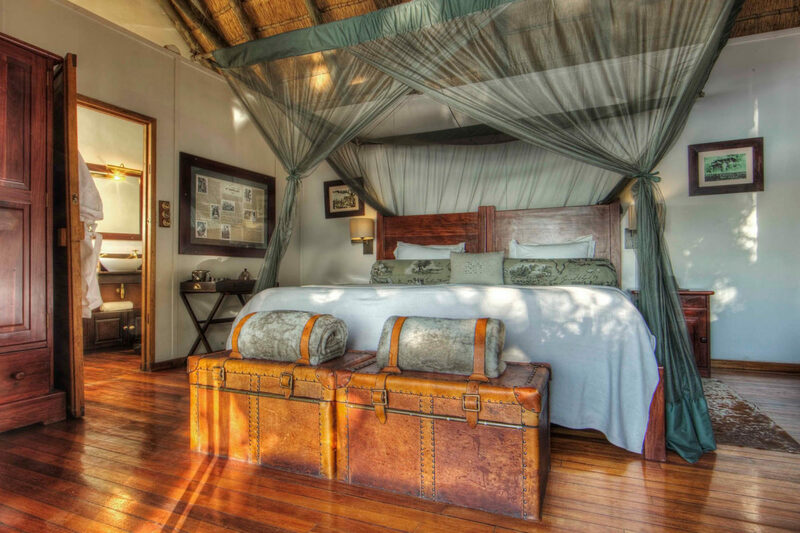 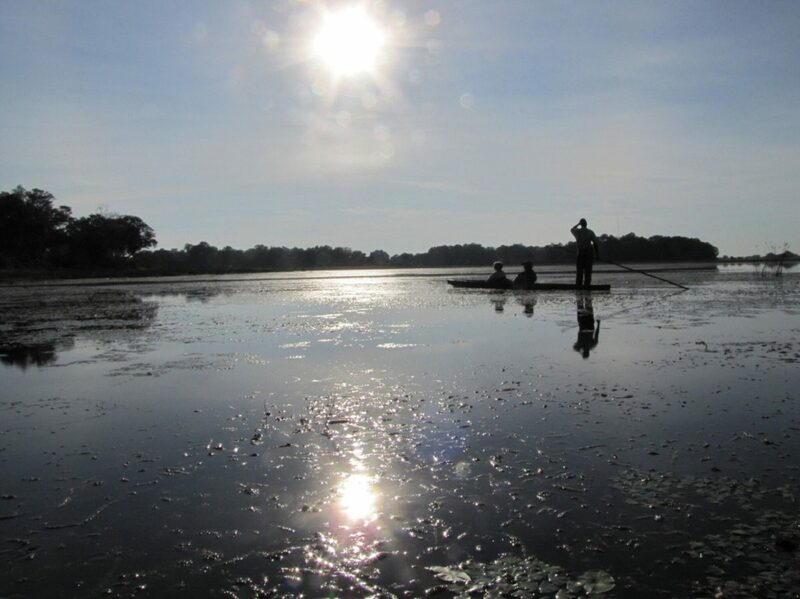 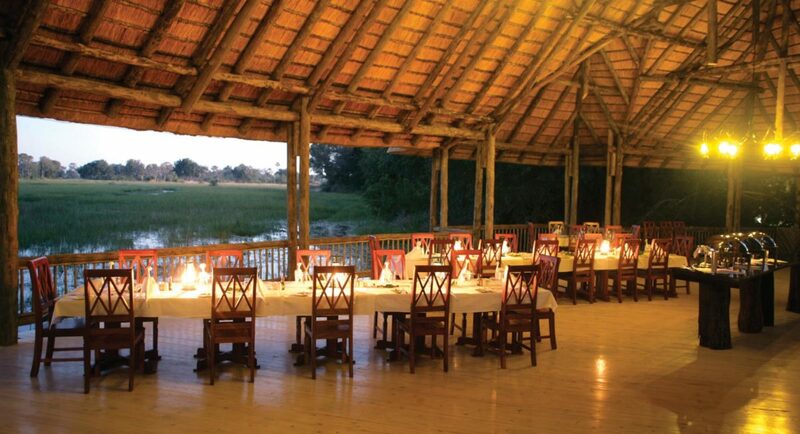 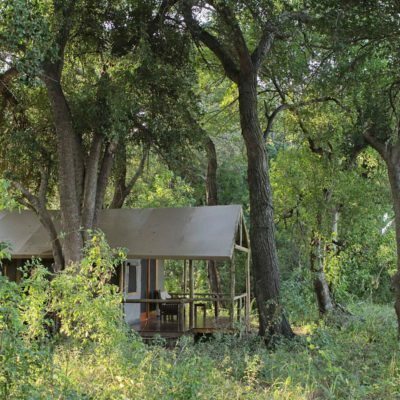 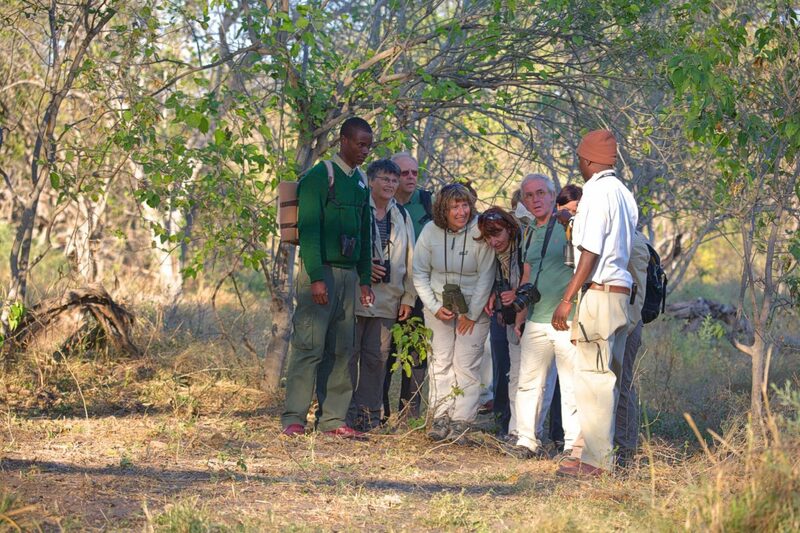 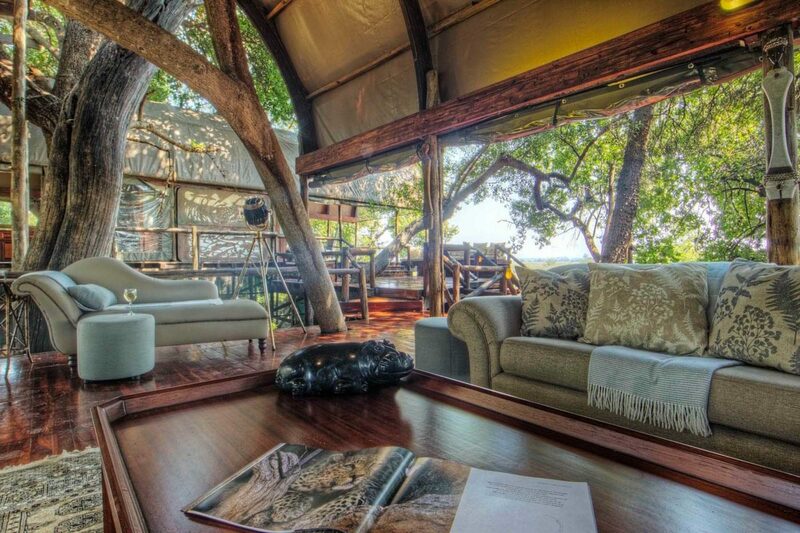 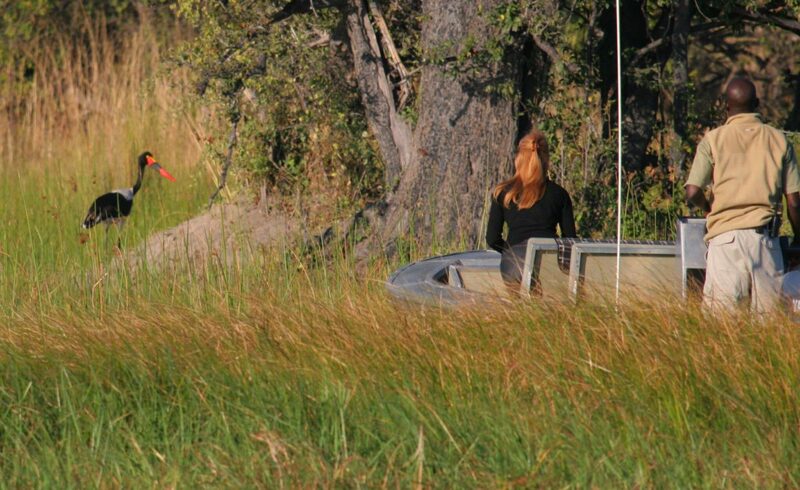 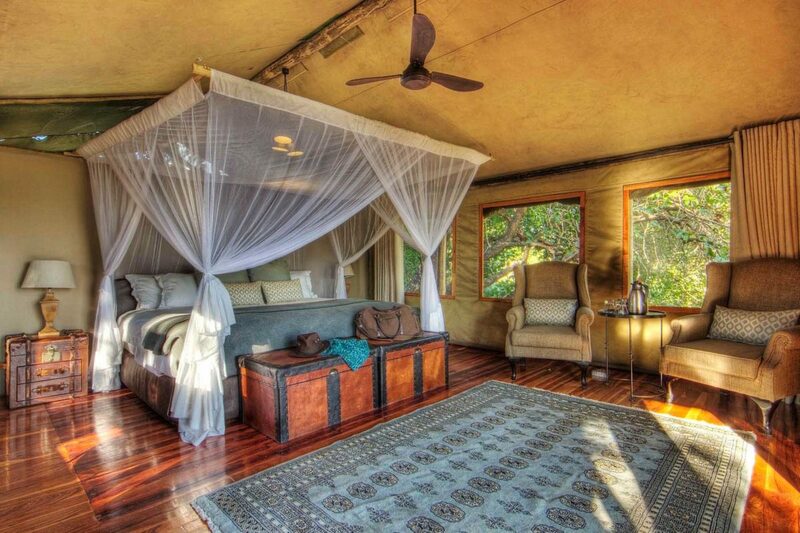 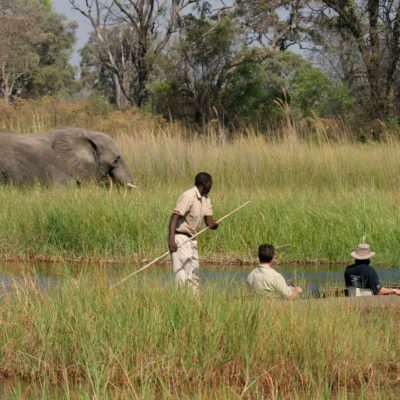 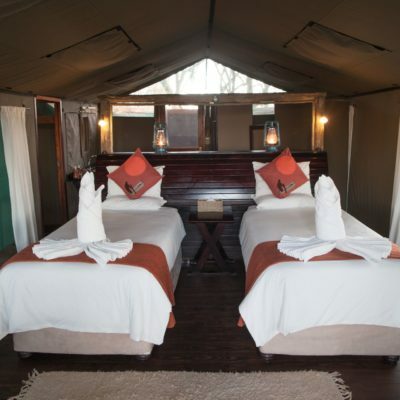 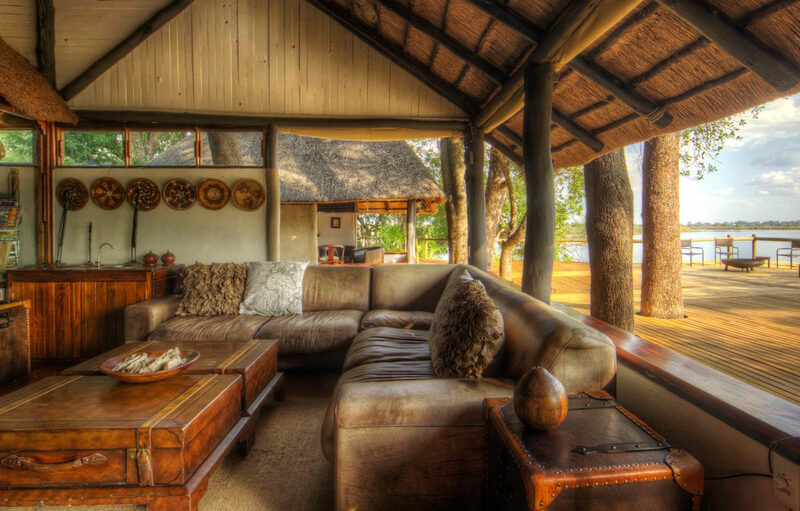 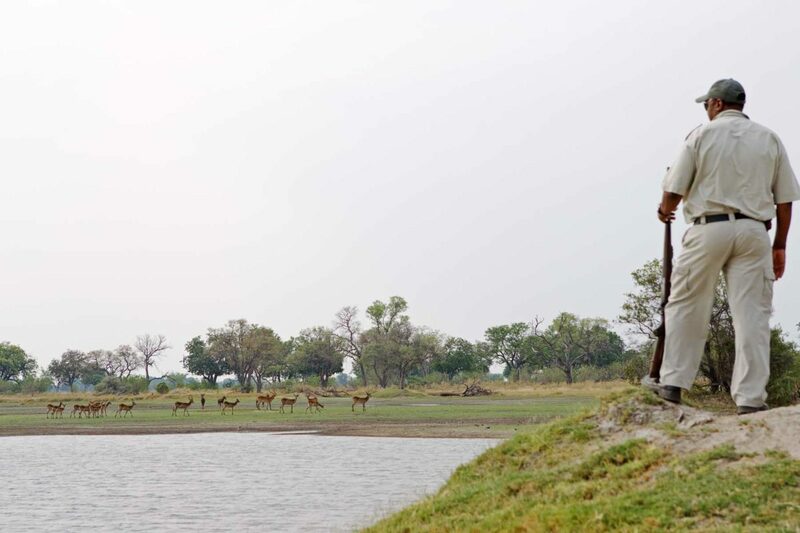 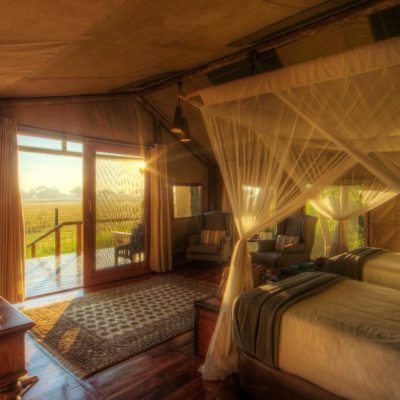 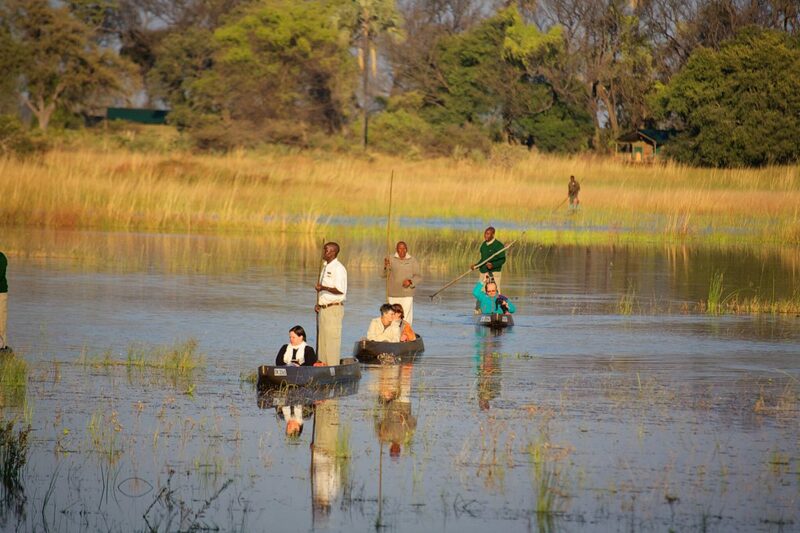 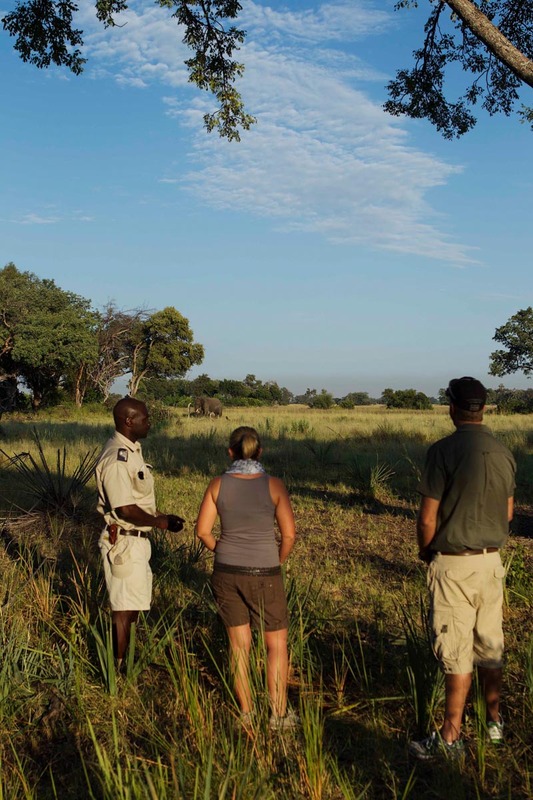 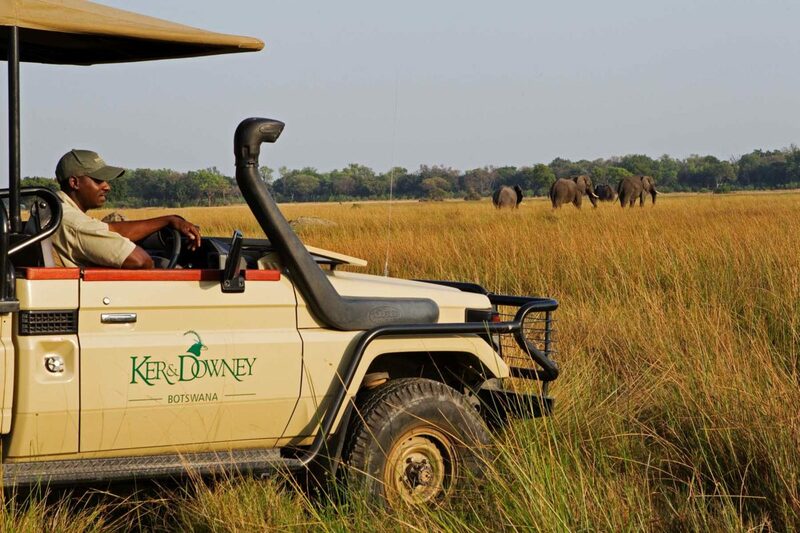 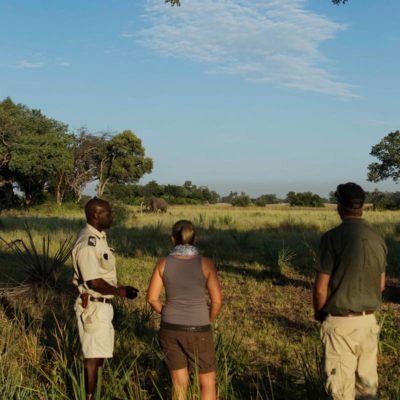 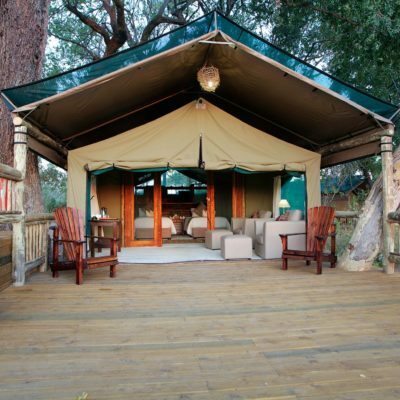 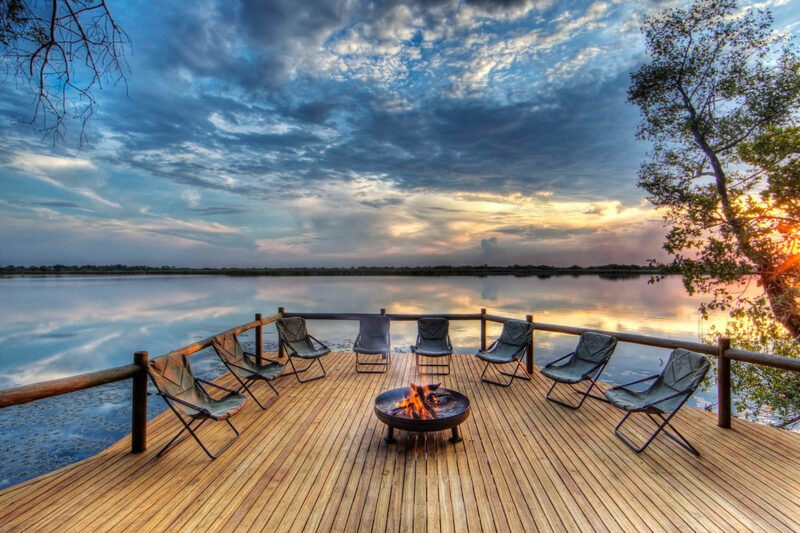 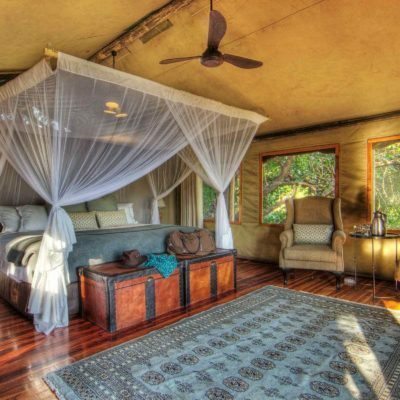 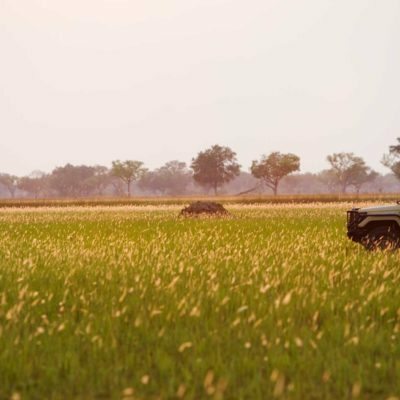 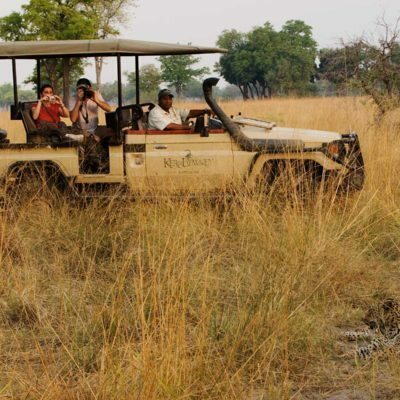 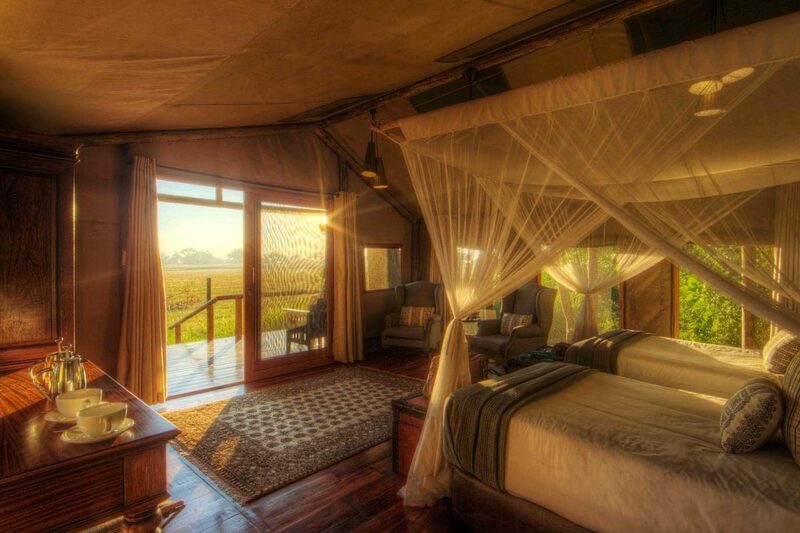 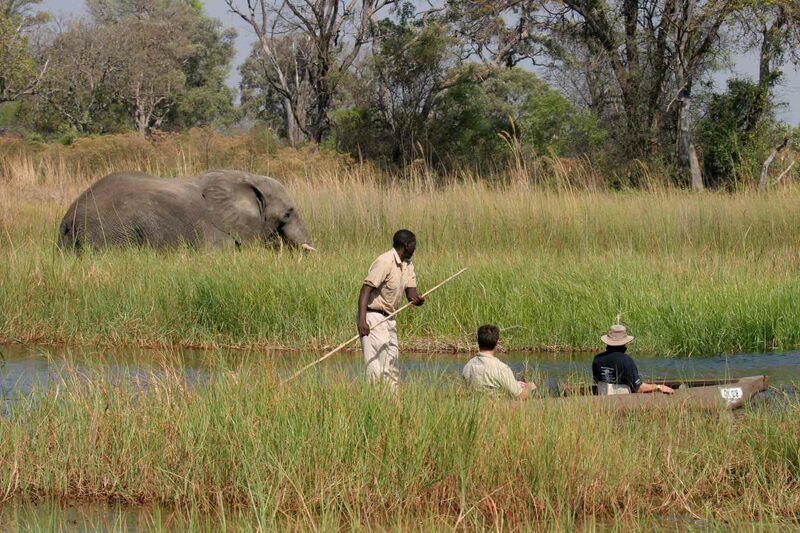 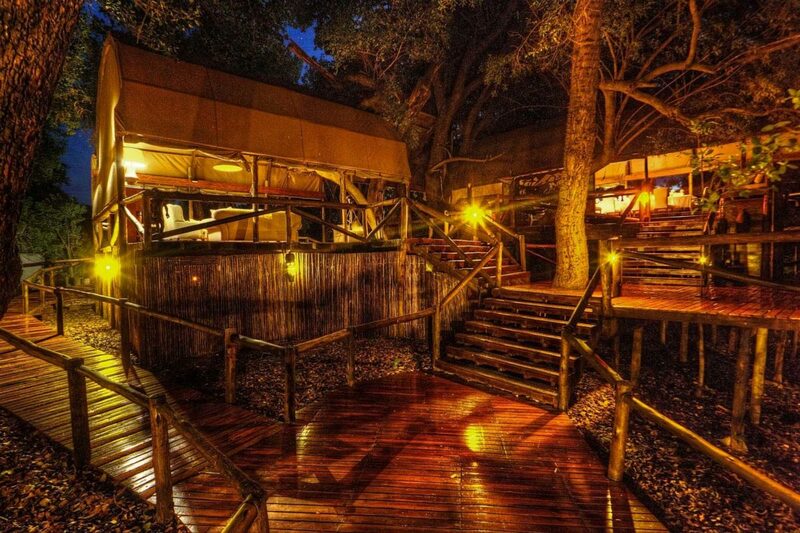 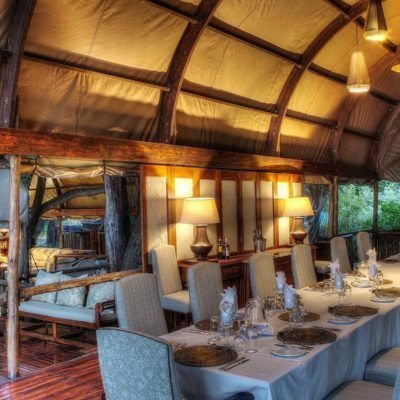 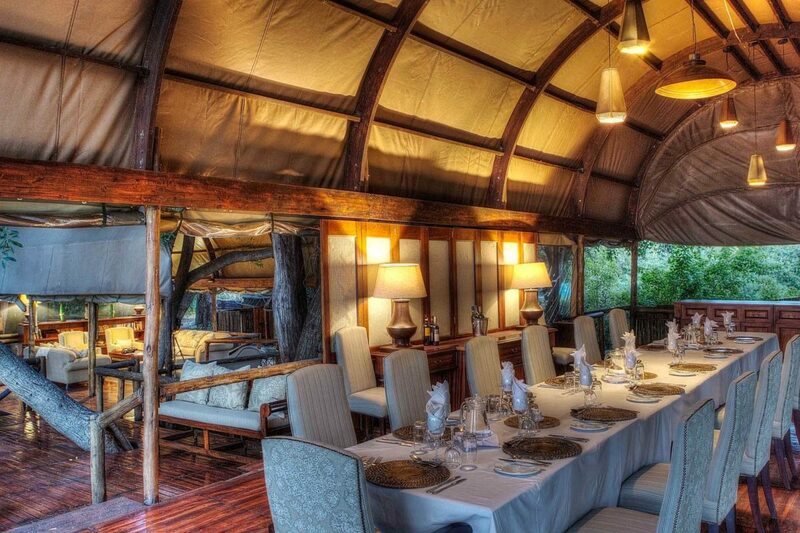 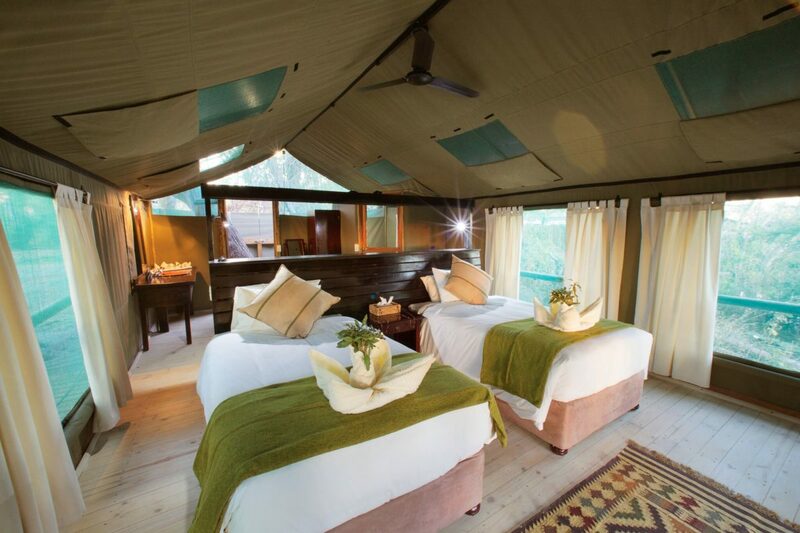 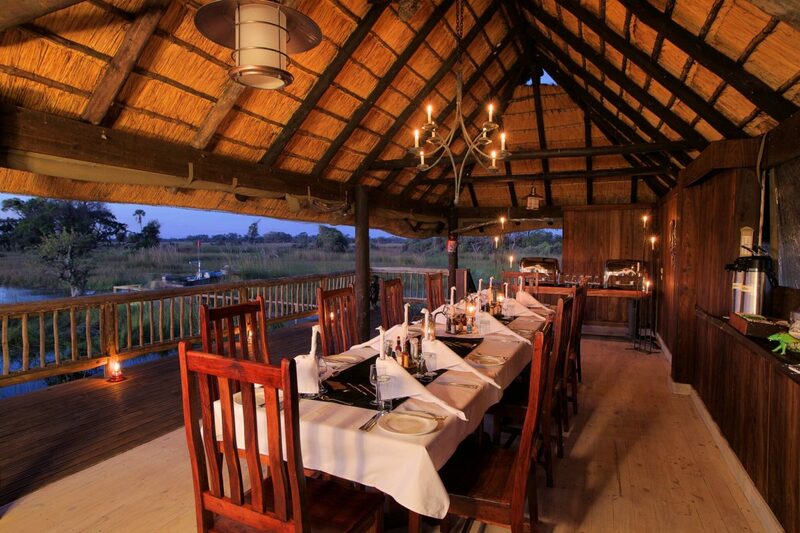 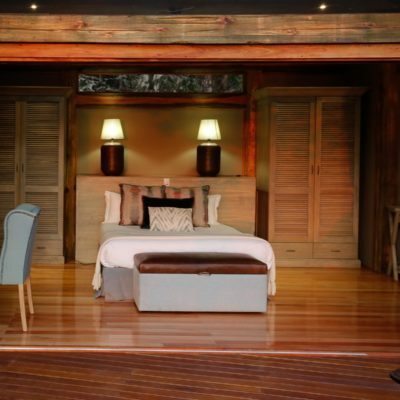 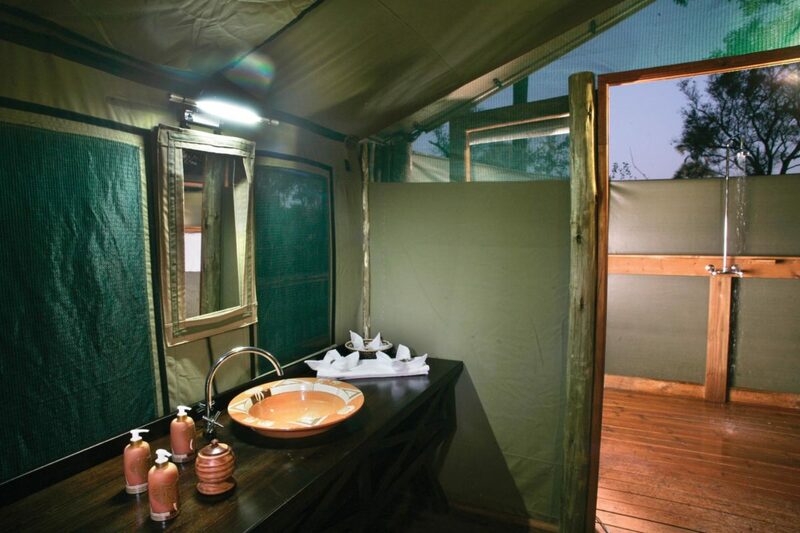 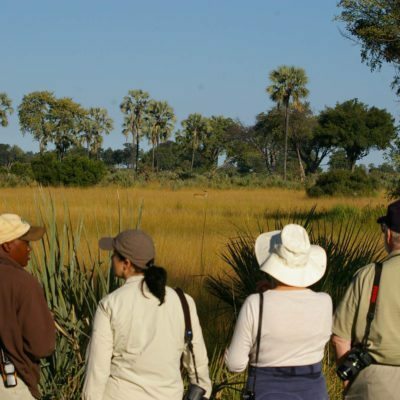 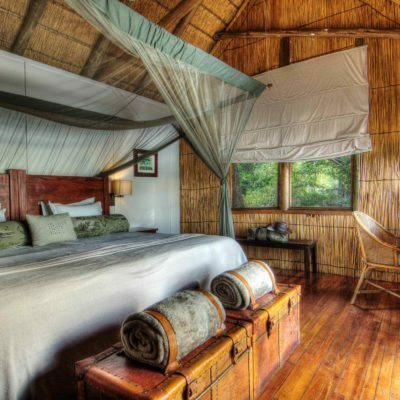 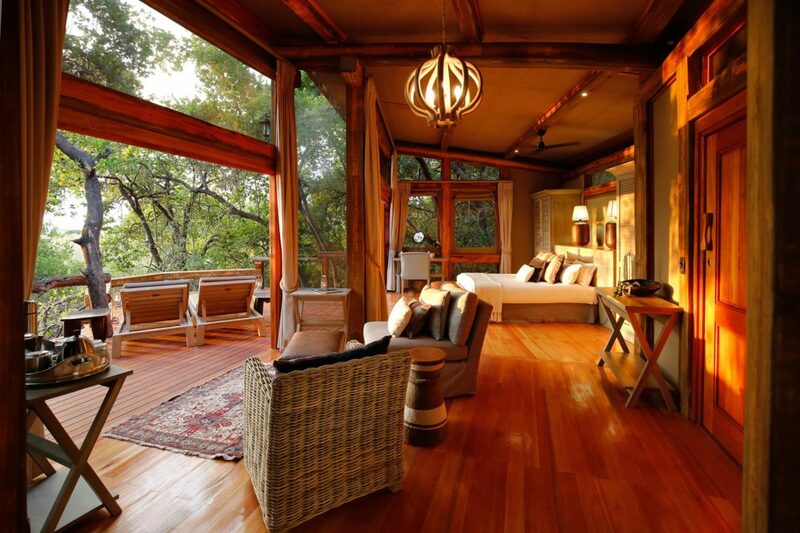 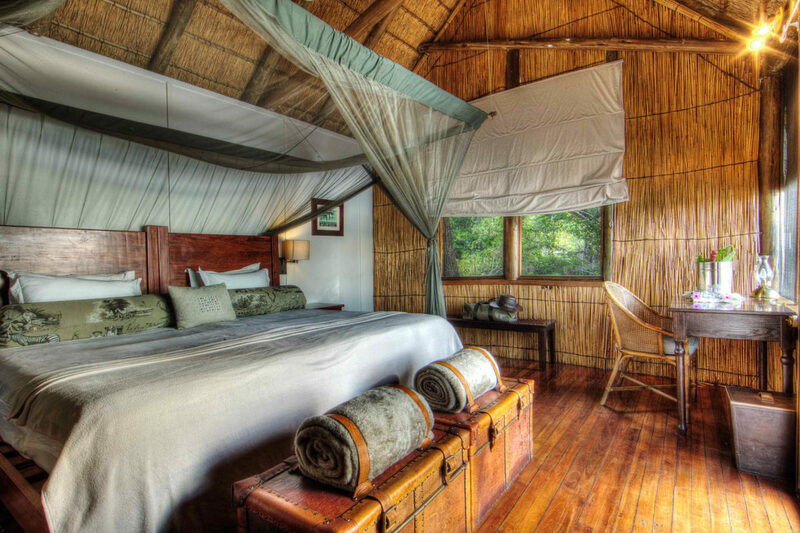 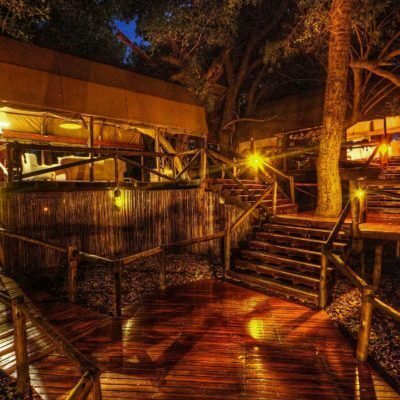 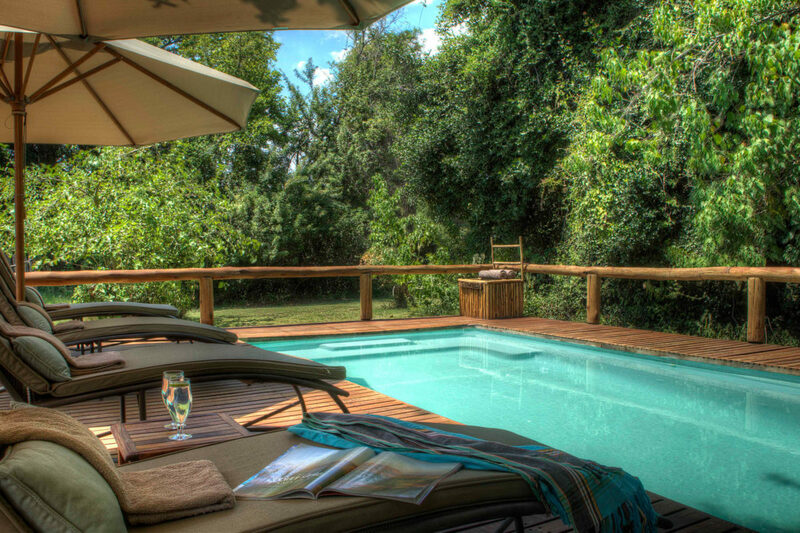 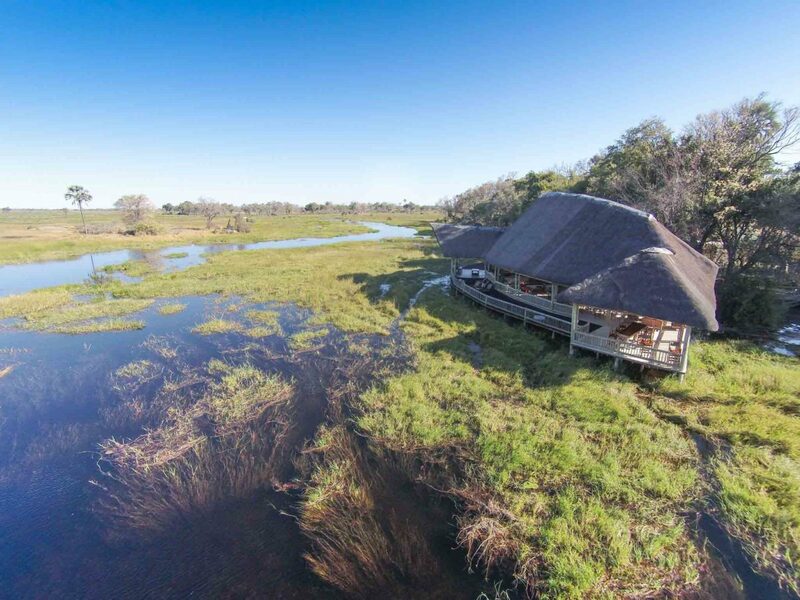 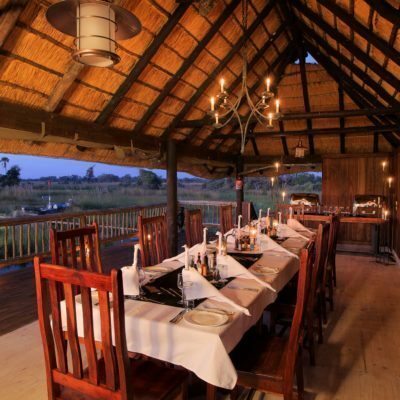 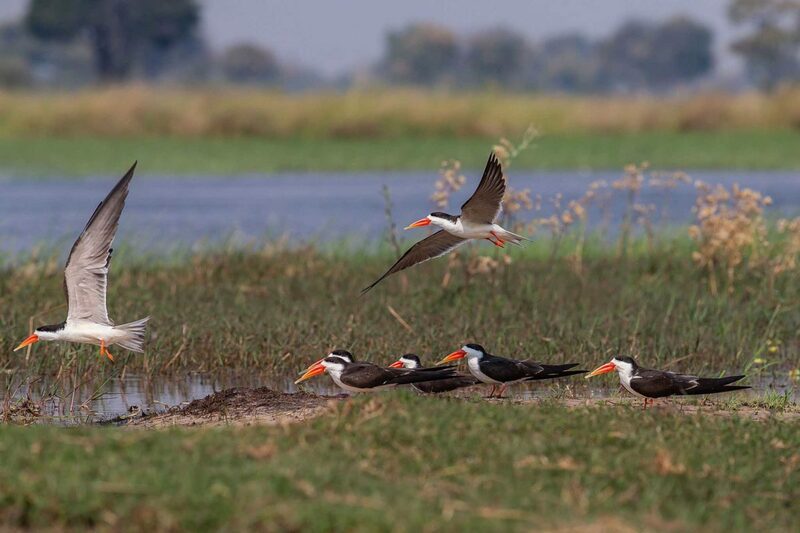 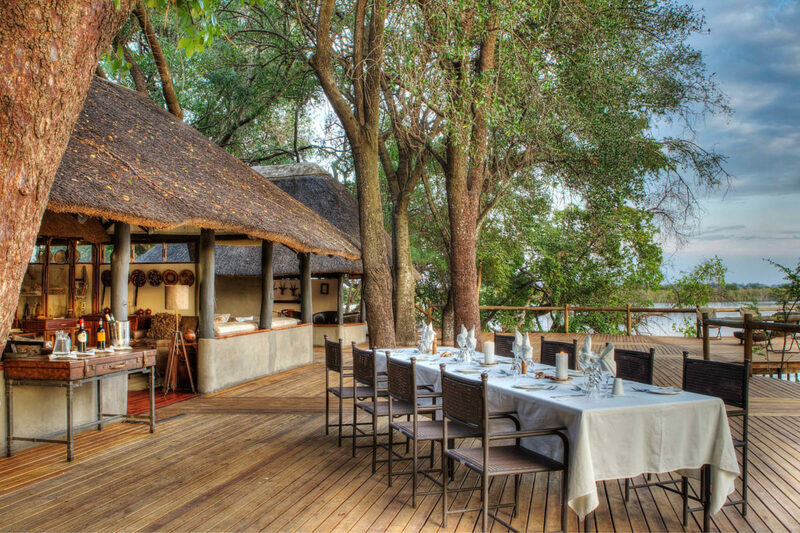 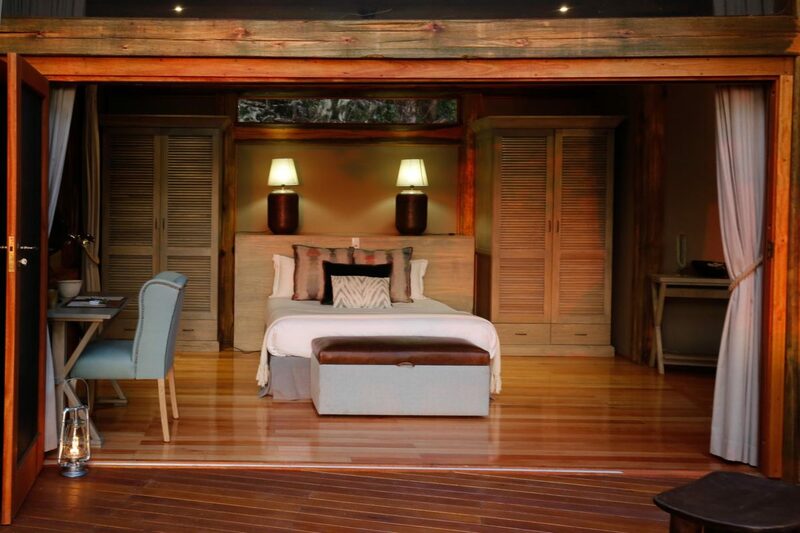 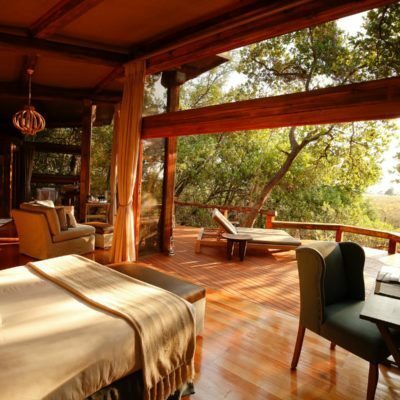 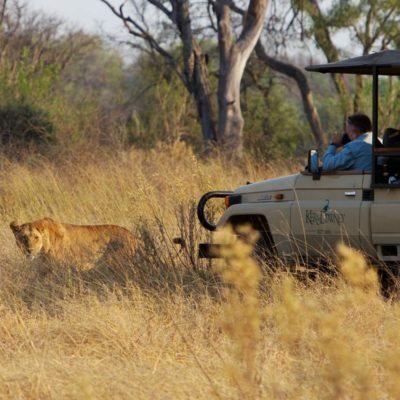 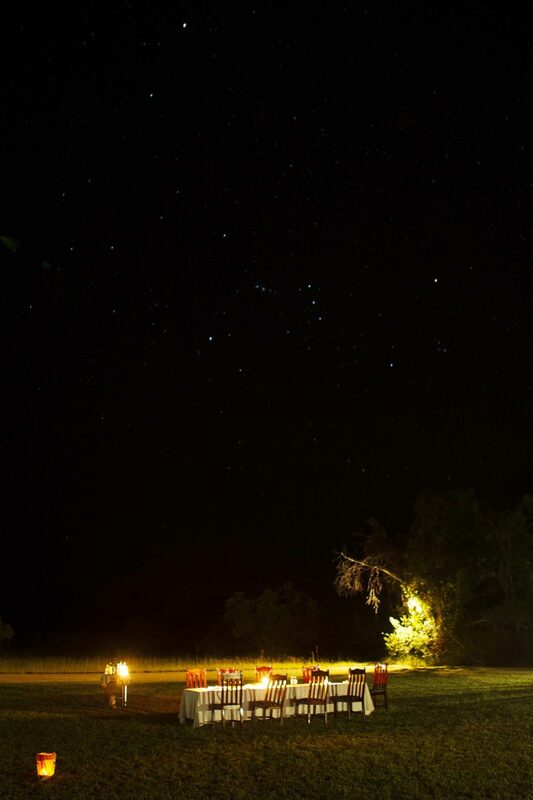 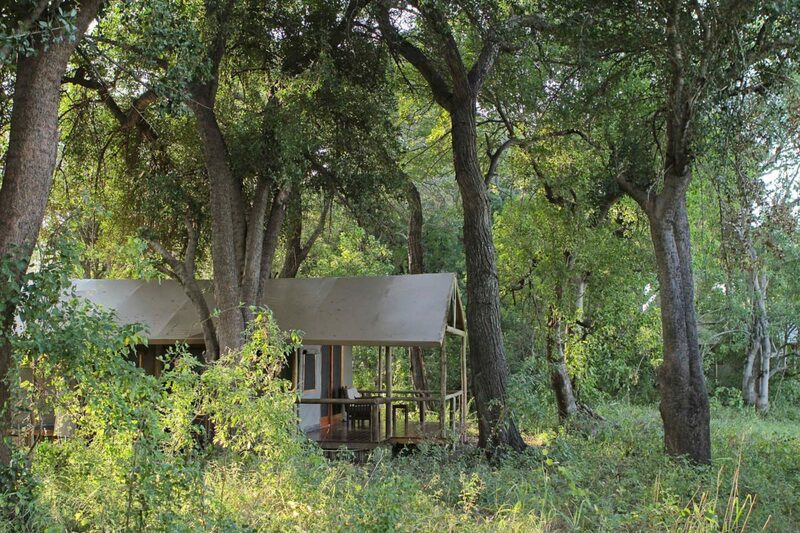 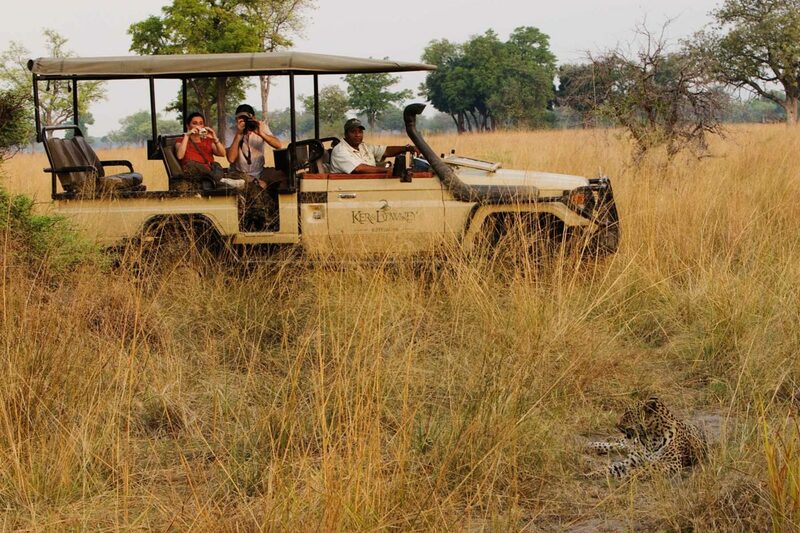 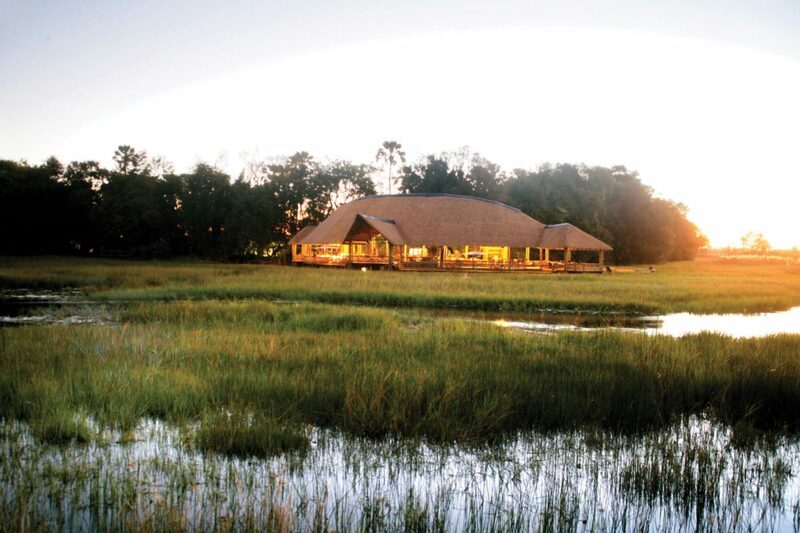 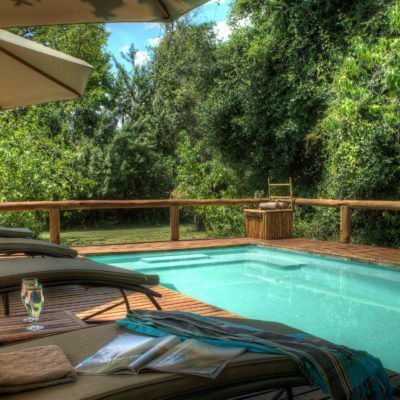 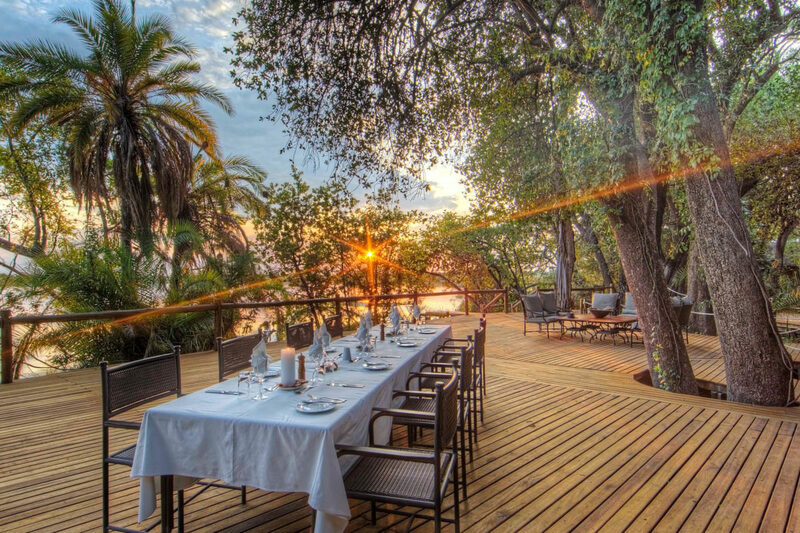 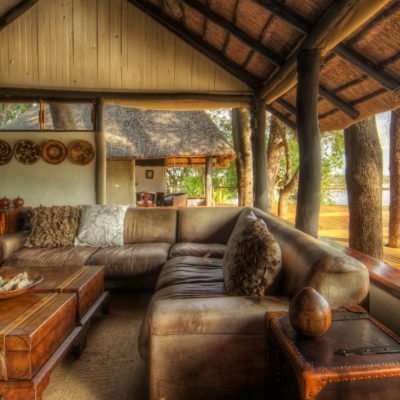 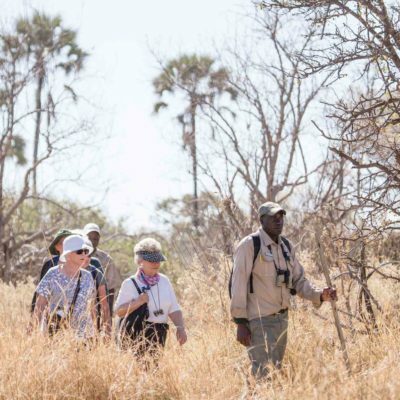 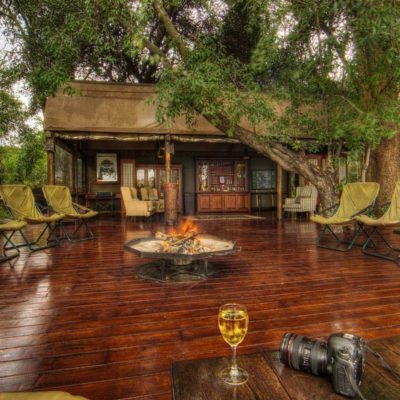 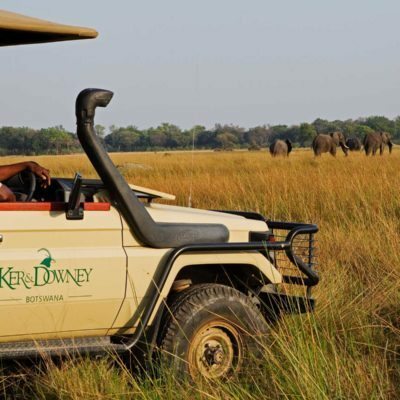 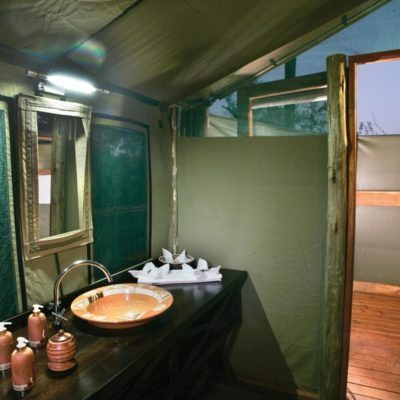 Spend a week camping or lodging through this pristine wetland on your own private safari boat with a specialist guide. 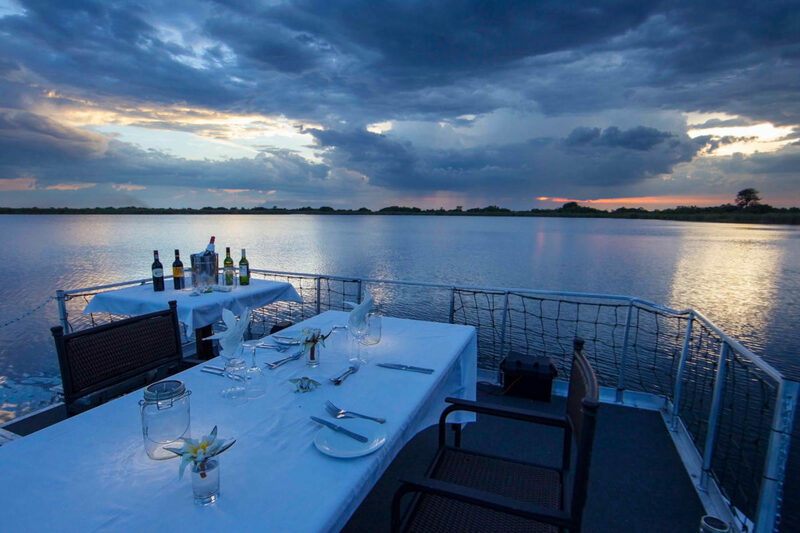 Logistics are complex and sufficient water levels unpredictable – so please inquire well in advance. 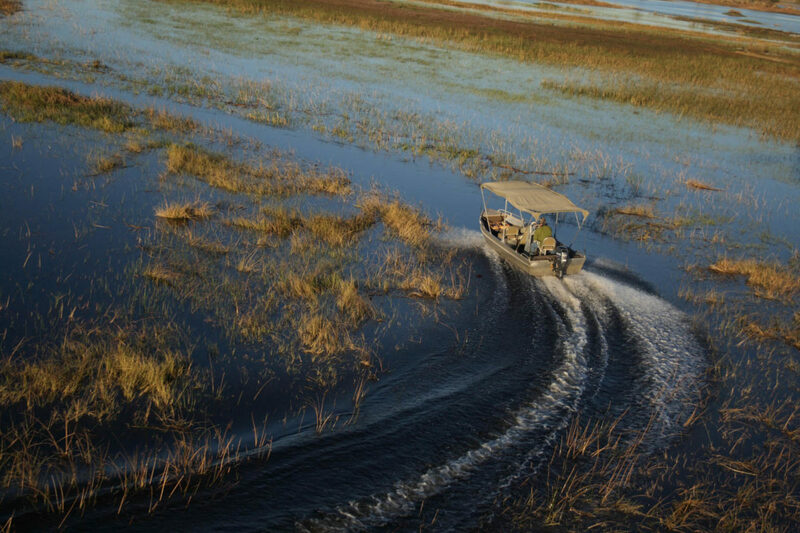 Add a flip on a helicopter to photograph the delta from the air to round off your complete delta experience.